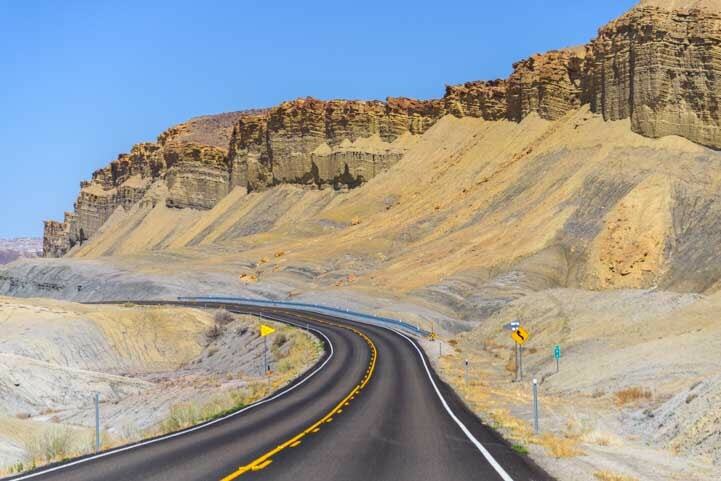 Utah Scenic Byway 12 RV Trip – Driving An All American Road! 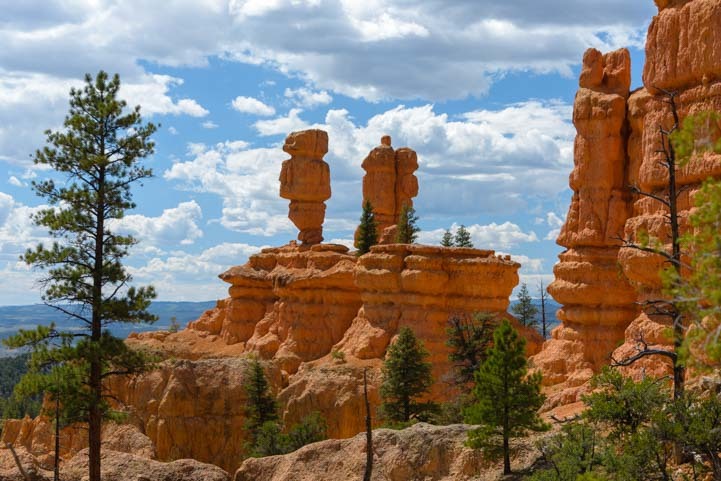 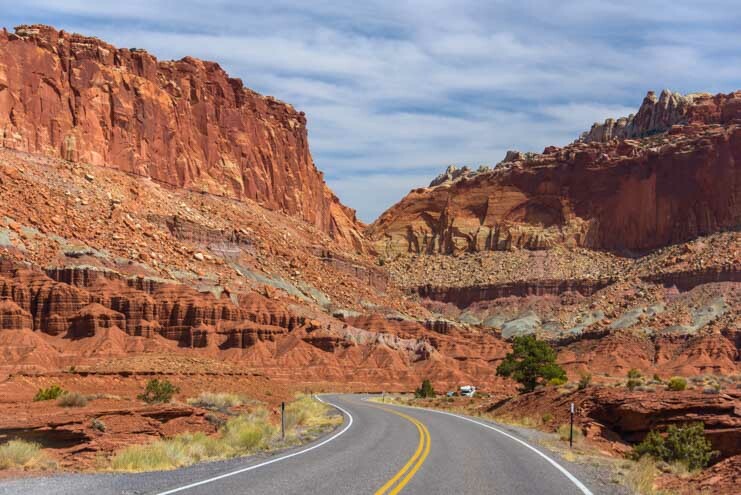 September 2016 – One of America’s most dramatic and beautiful scenic drives goes between Bryce Canyon National Park and Capitol Reef National Park in Utah. 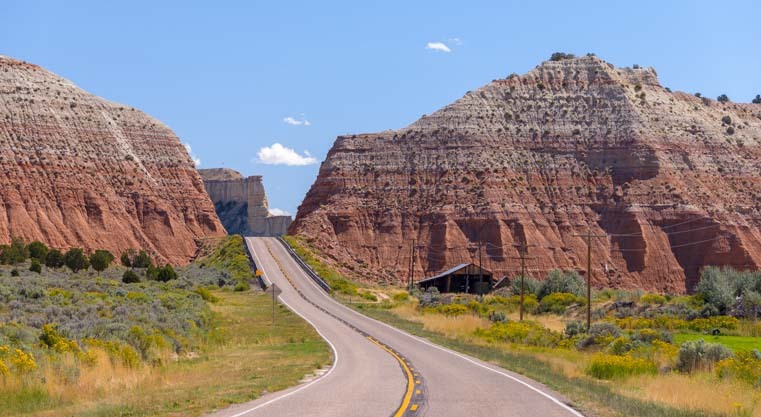 Classified as an All American Road by the (now defunct) National Scenic Byways Program, this drive is an awe-inspring drive through 123 miles of the most spectacular scenery anywhere. 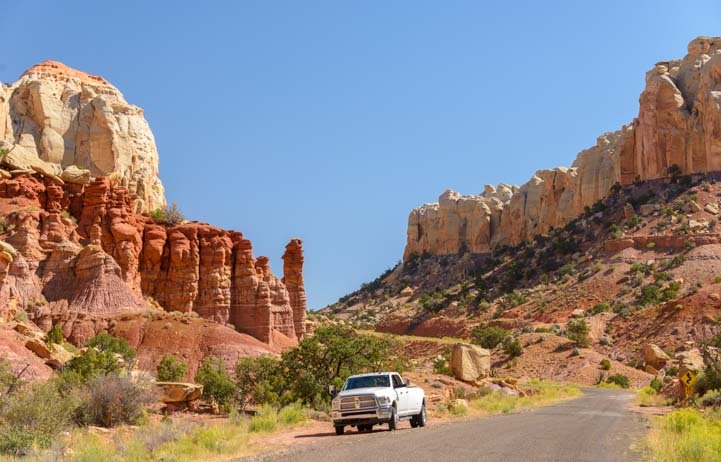 We began our drive just outside Bryce Canyon National Park and drove between towering sandstone walls that rippled in whites, greys, and pinks. 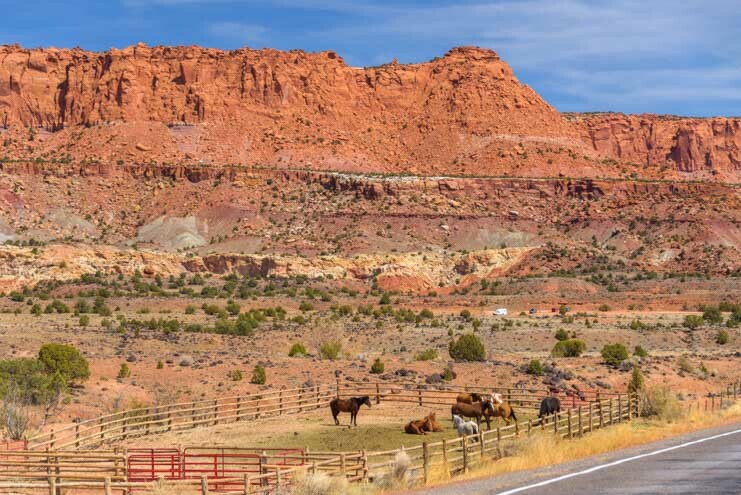 At the beginning of the drive we passed farmland and ranches that stretched across the vast landscape to cliffs in the distance. 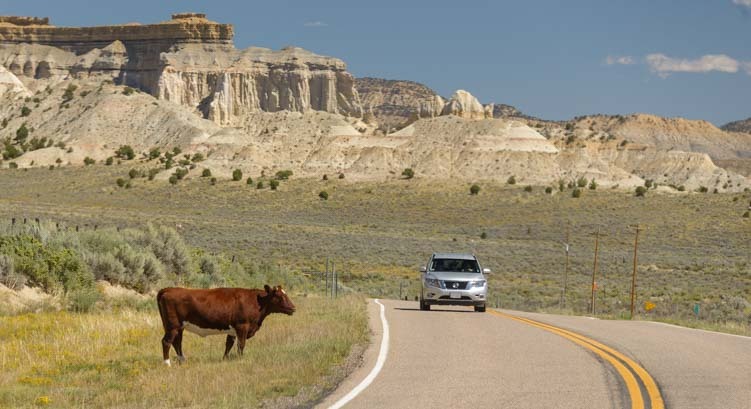 Occasionally a cow standing by the side of the road watched us pass. 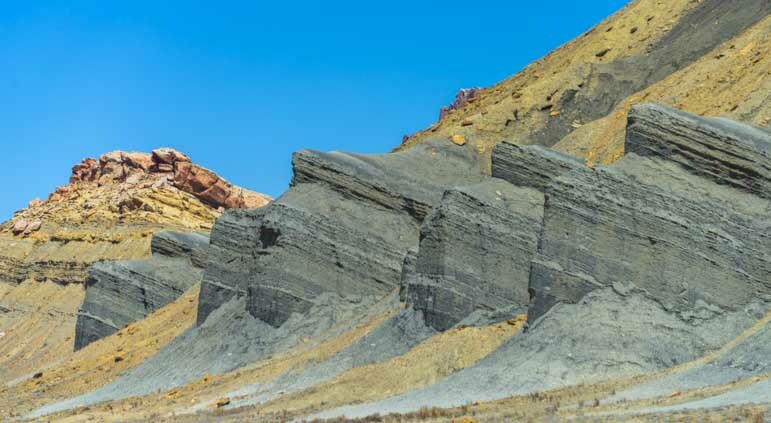 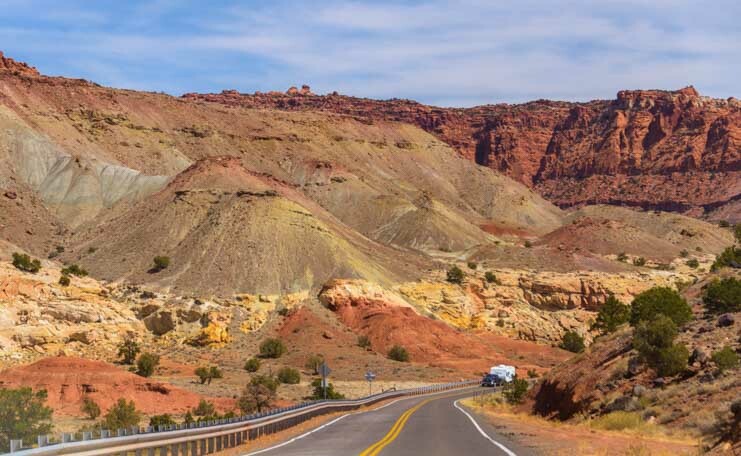 Soon, the ranch land gave way to exotic red rock formations that rose up on either side of us. 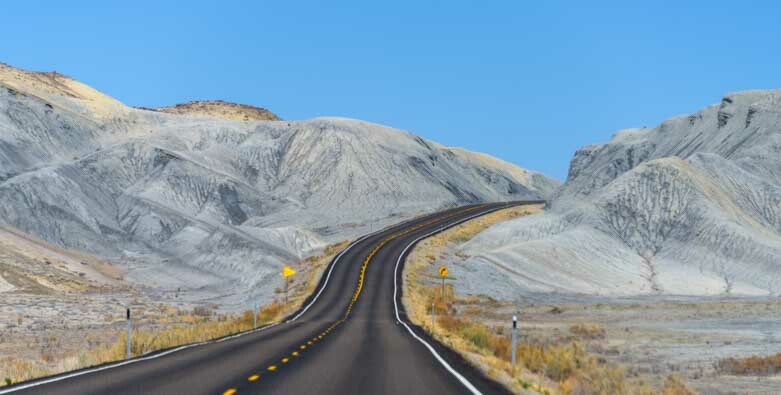 The road climbed and fell and swooped this way and that in big wide bends and tight hairpin turns. 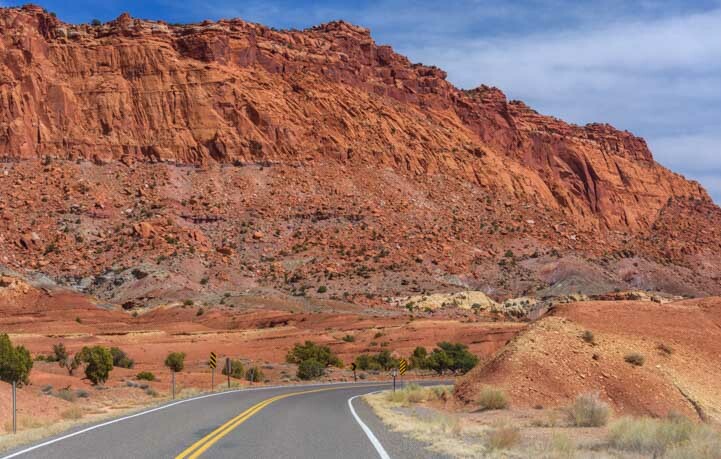 There wasn’t a lot of traffic, as this road goes between tiny communities in a vast area. 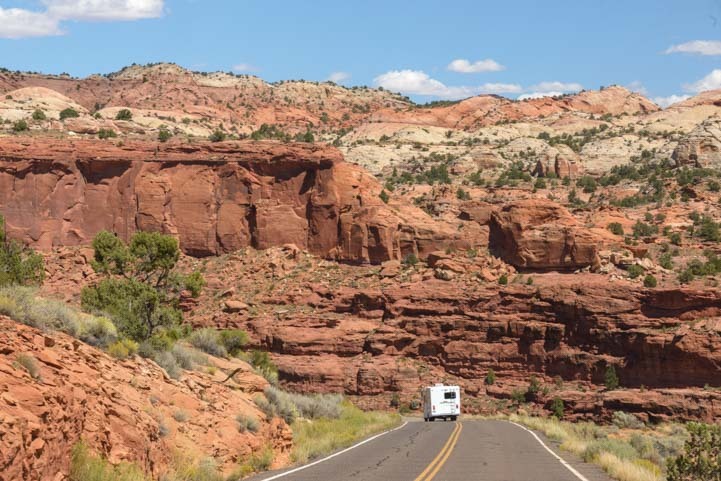 Many of the vehicles on the road were RVs. 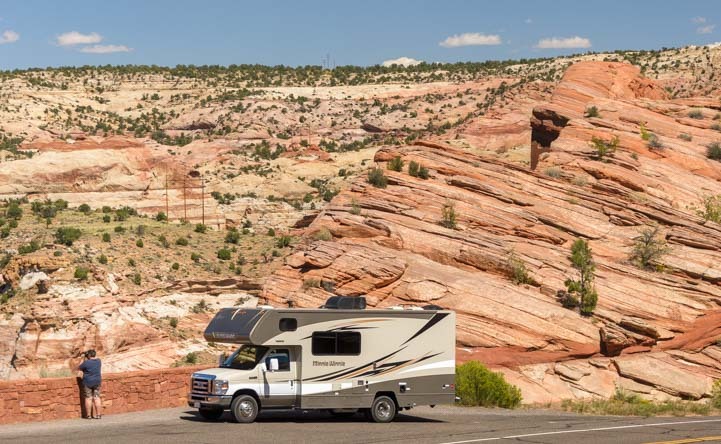 But this drive isn’t for the faint of heart or for RVs that are underpowered. 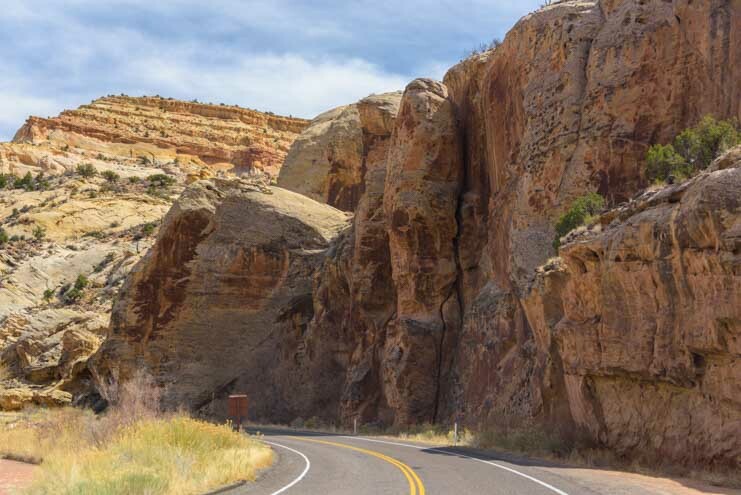 One of the climbs we did was a 14% grade! 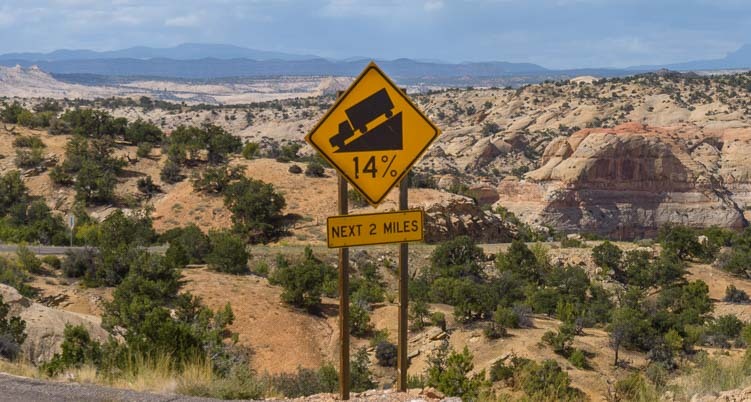 We stopped at the top to get a photo of the sign for cars and trucks that were starting the descent. 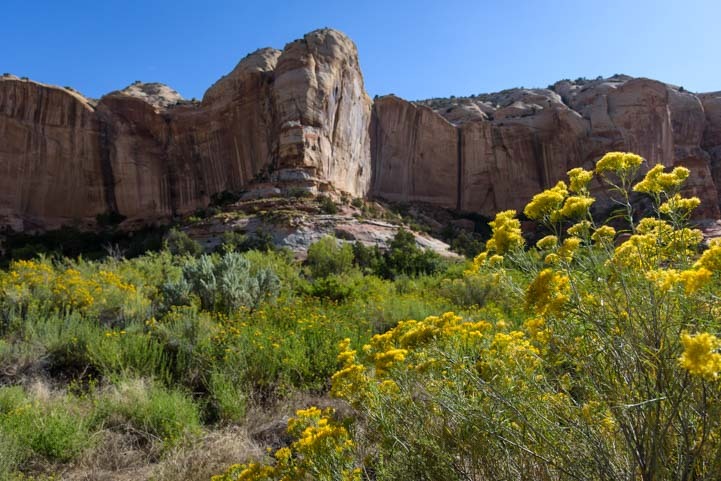 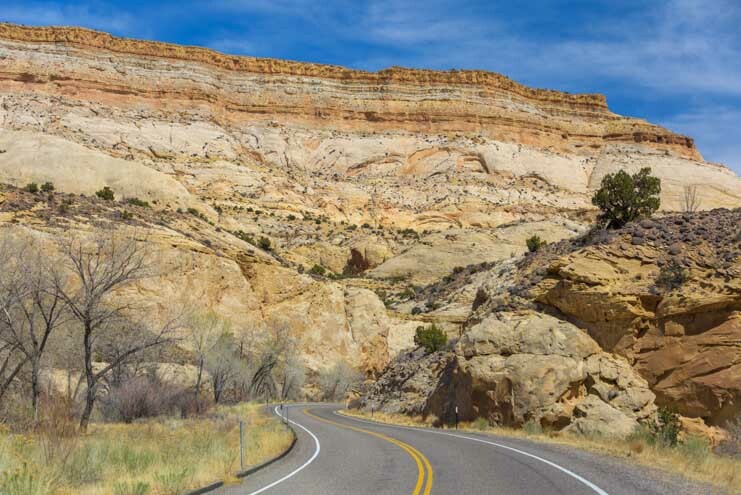 Utah Scenic Byway 12 is not for the faint of heart or for underpowered RVs. 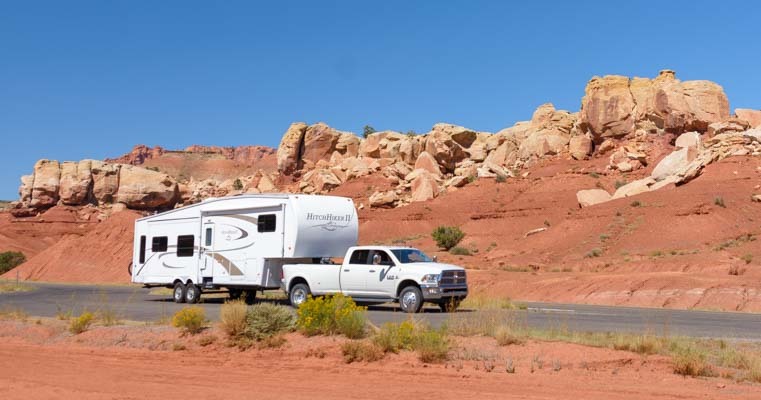 Last year, we upgraded to a more powerful truck just so we could tow our 14,100 lb. 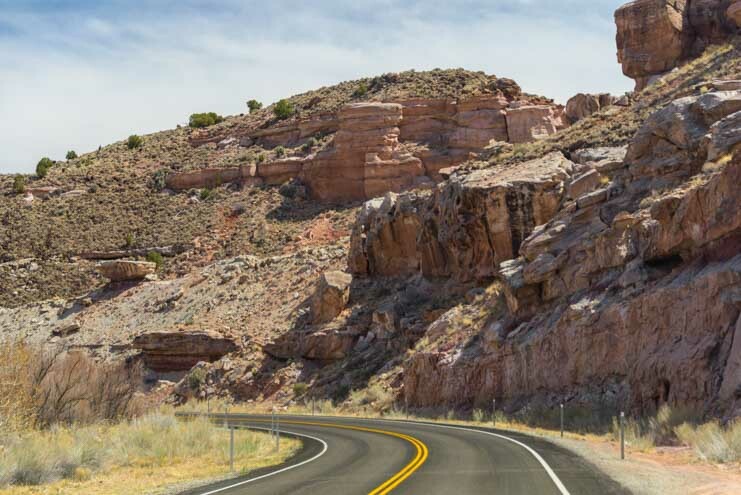 trailer on roads like this and climb double digit grades without worrying about whether the truck could handle it. 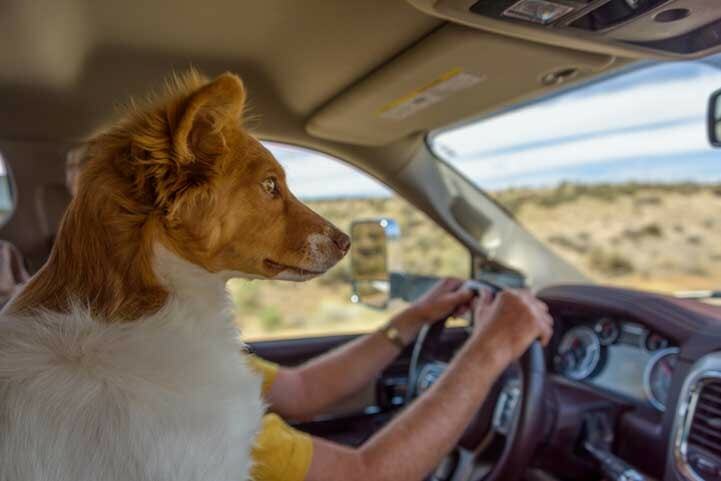 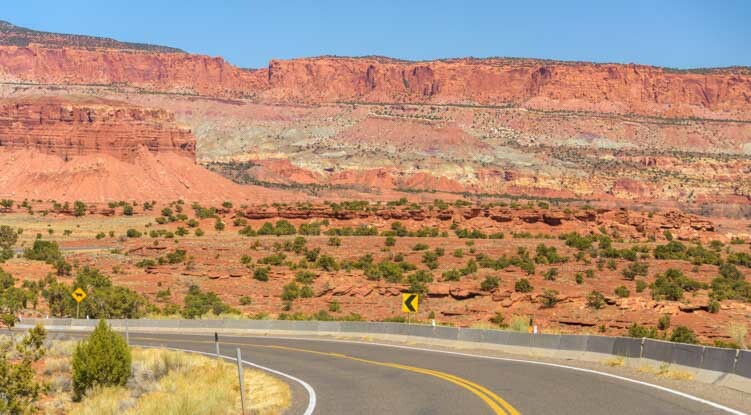 As we had hoped, the truck didn’t even flinch even once on this stunning scenic drive. 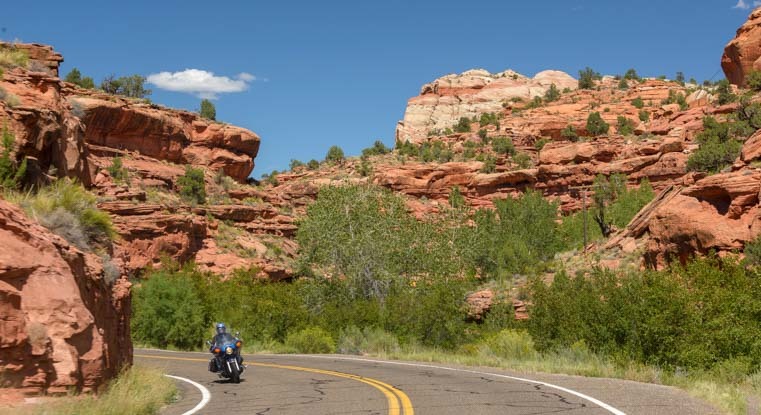 Lighter on their feet, lots of motorcycles were having a blast! 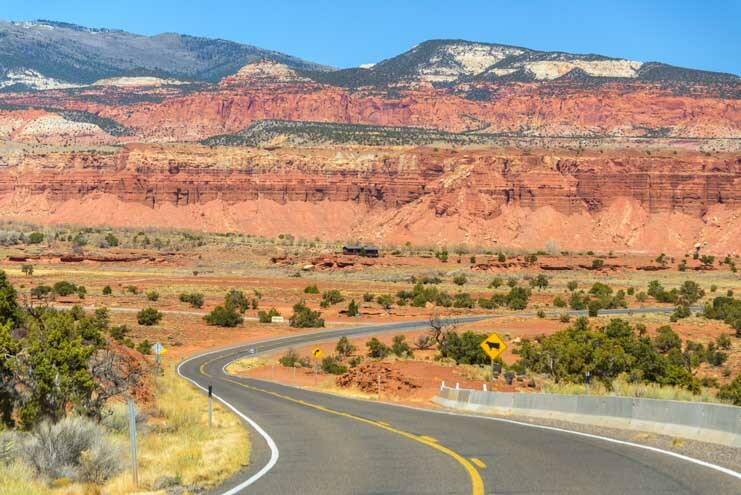 Scenic Byway 12 in Utah. 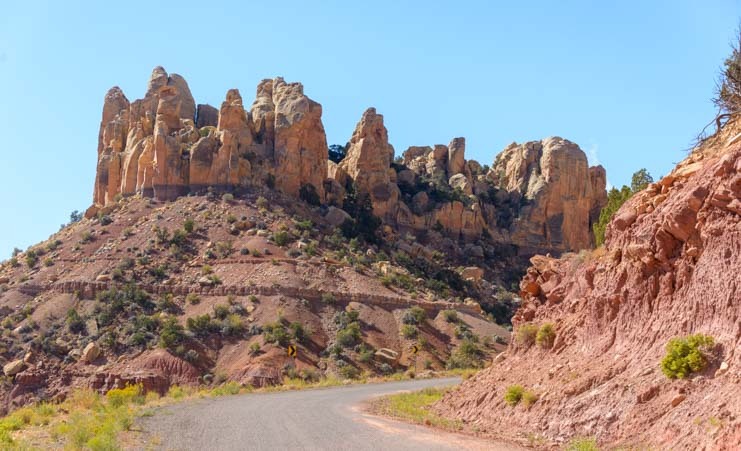 This would also be a stunning road for riding a bicycle, and we saw a van from Trek Tours providing sag support to their riders. 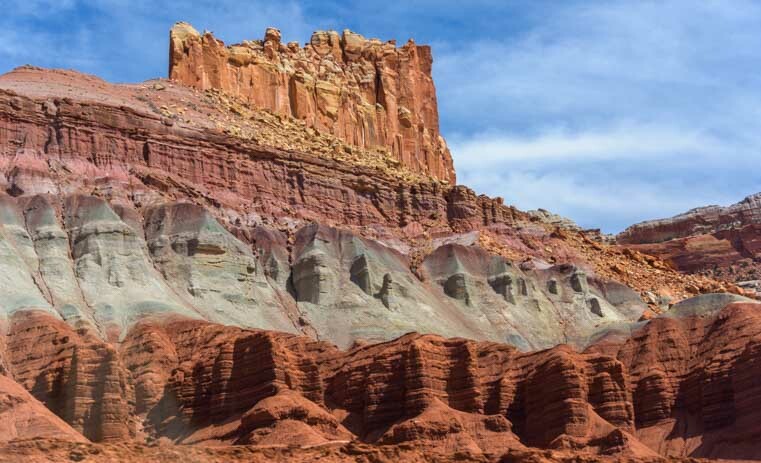 The patterns of colors on the red rocks were just gorgeous, and we stopped many times to look out across the incredible landscape and soak it all in. 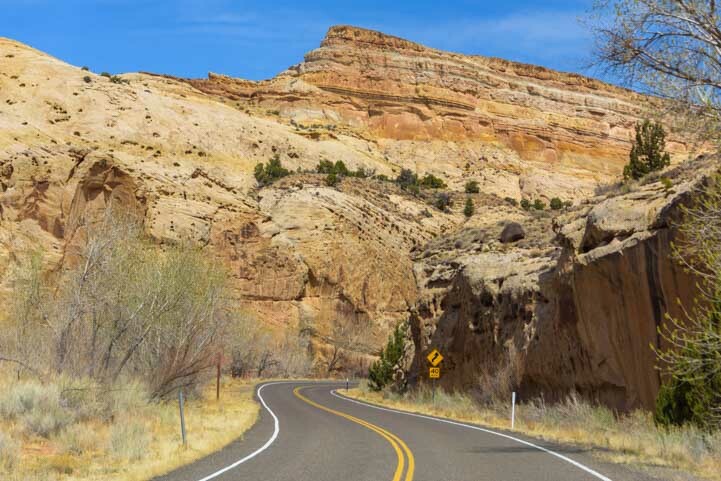 We had driven this route years ago with our popup tent trailer, but this is a road that is worth driving many times. 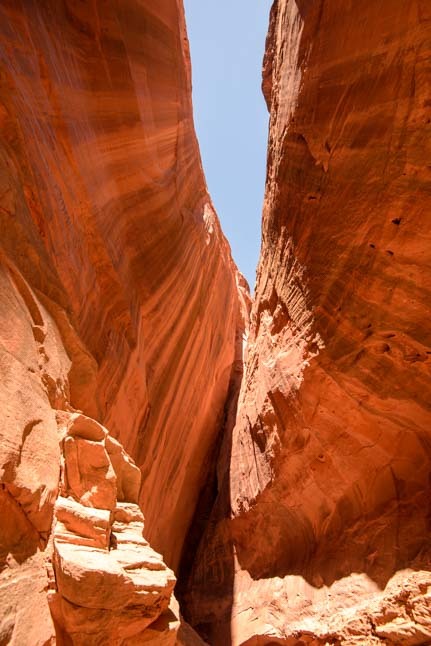 Such views!! 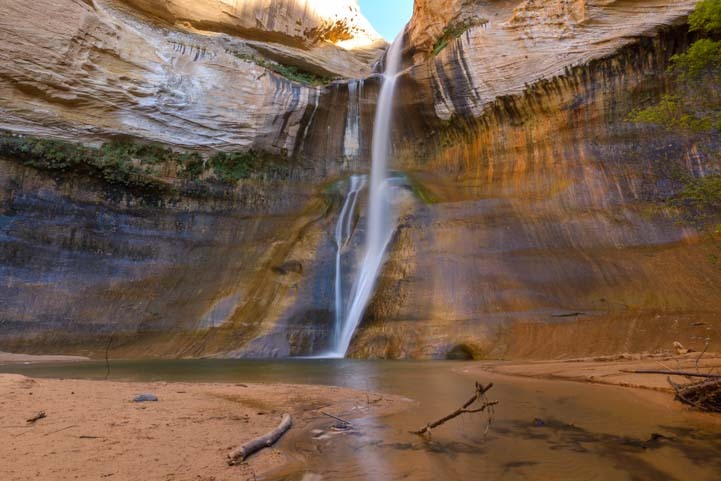 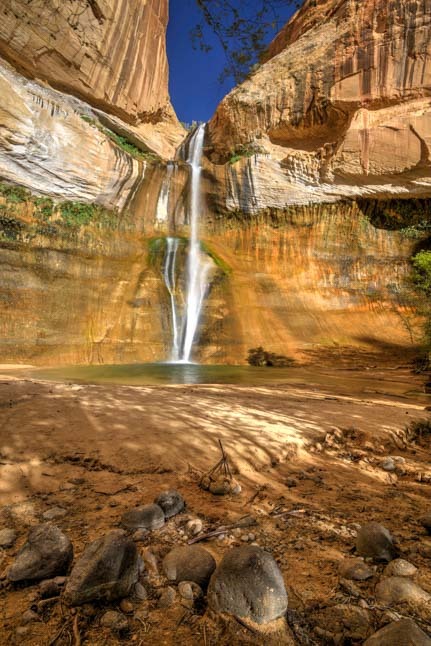 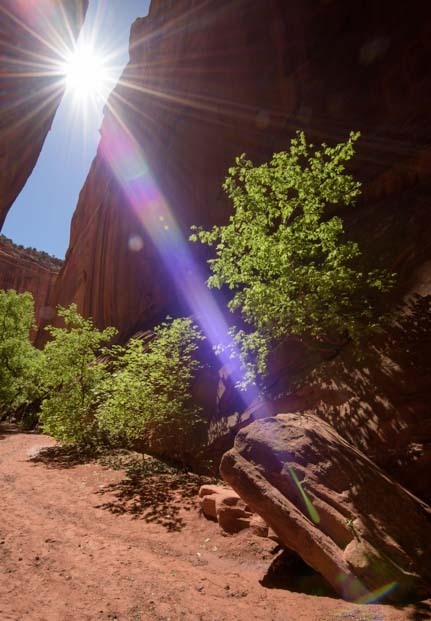 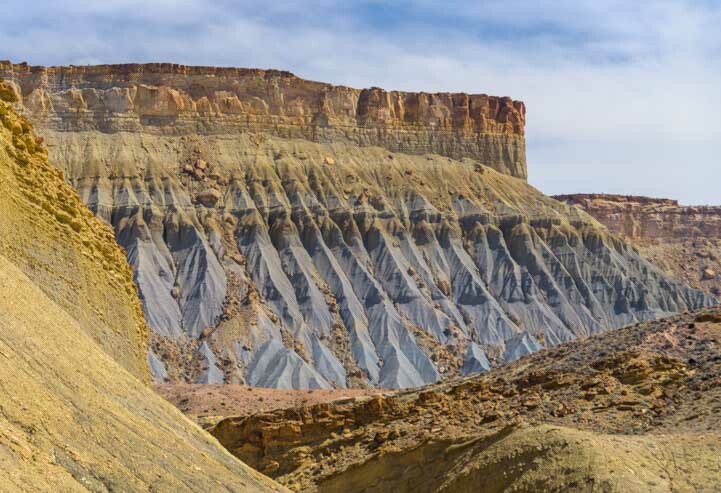 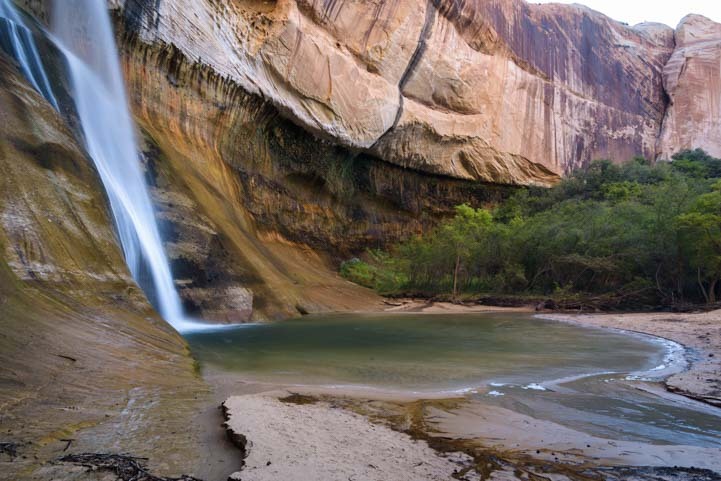 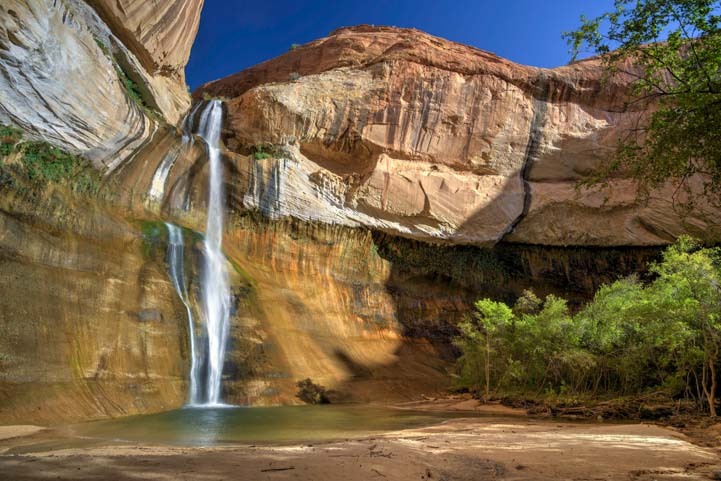 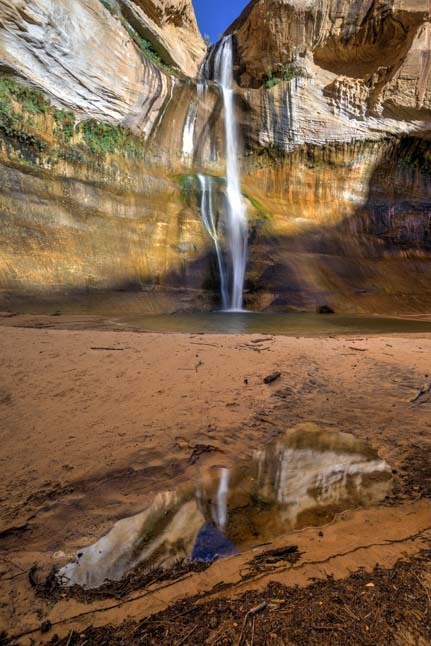 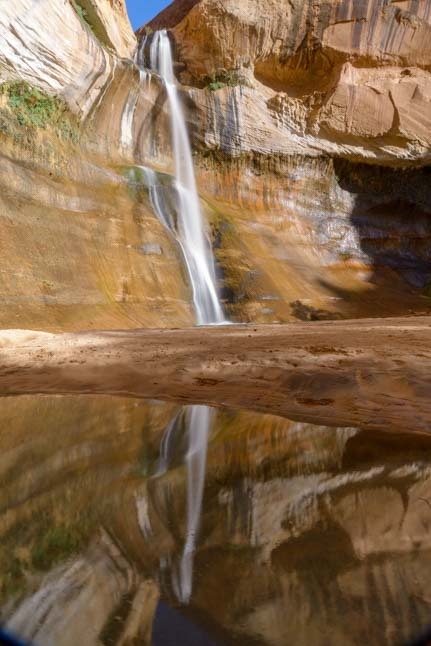 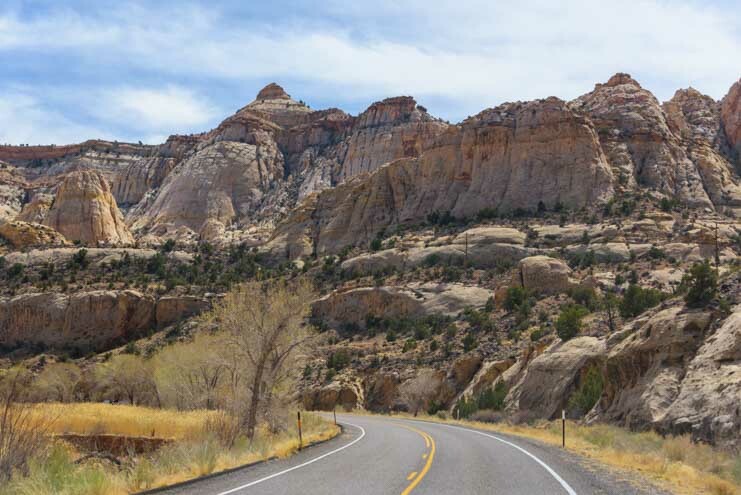 There are many things to see and do along the way on Utah’s Scenic Byway 12. 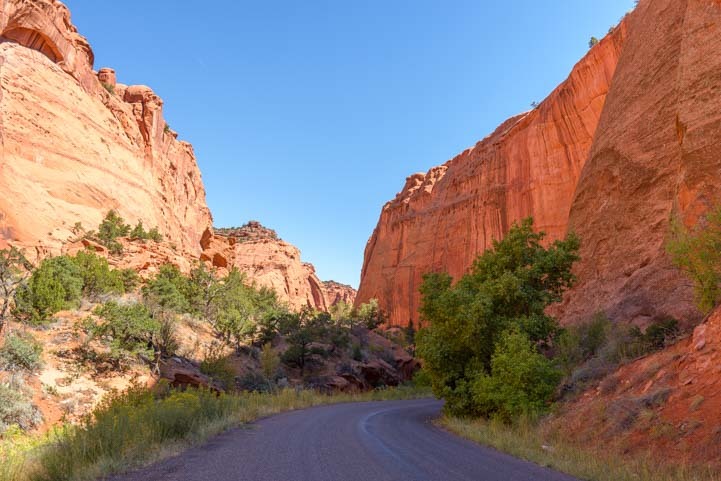 Kodachrome Basin State Park, which was named for the film because the colors are so magnificent, is a true highlight. 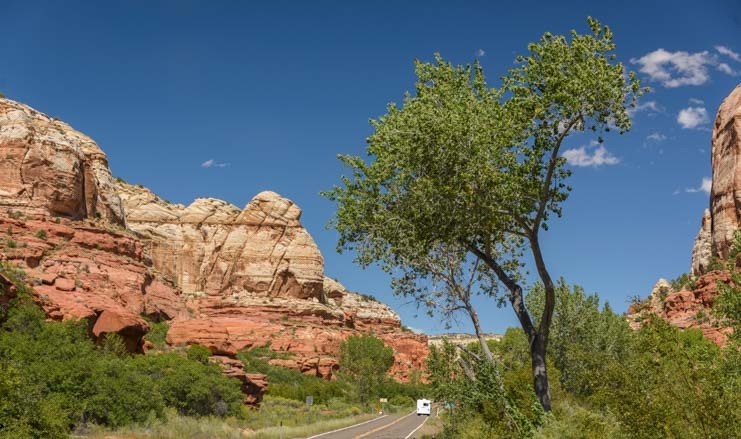 We didn’t stop at Kodachrome Basin State Park this time, but we did the jaw-dropping Burr Trail drive, which we’ll share in an upcoming blog post. 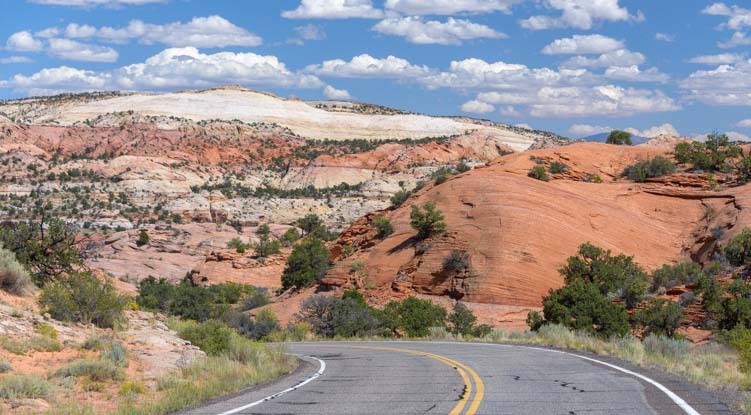 Don’t miss Utah’s Scenic Byway 12 in your RV travels!! 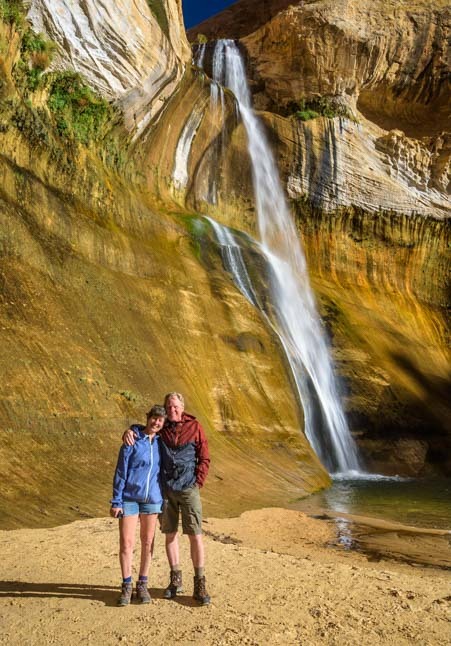 We also hiked to the majestic Lower Calf Creek Falls, which we’ll share soon too (smile). 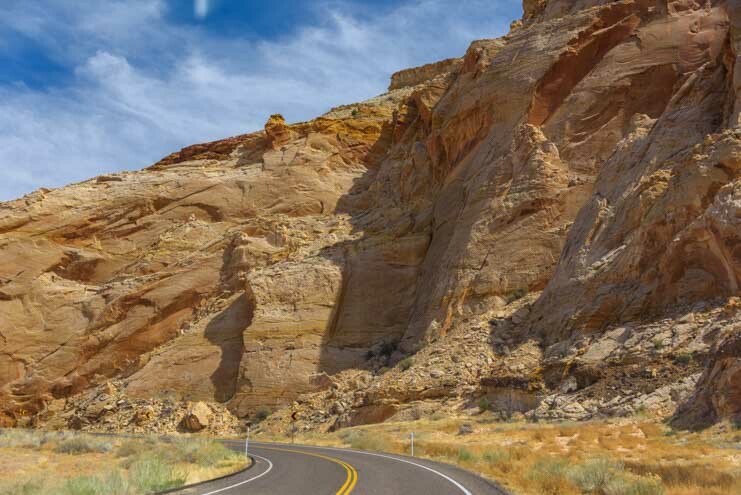 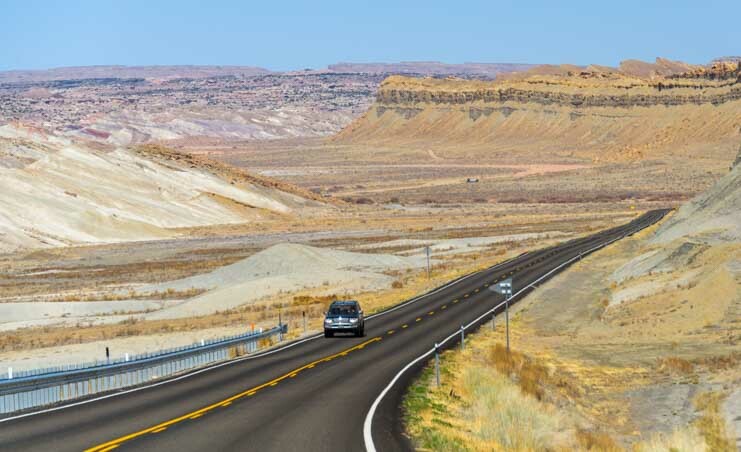 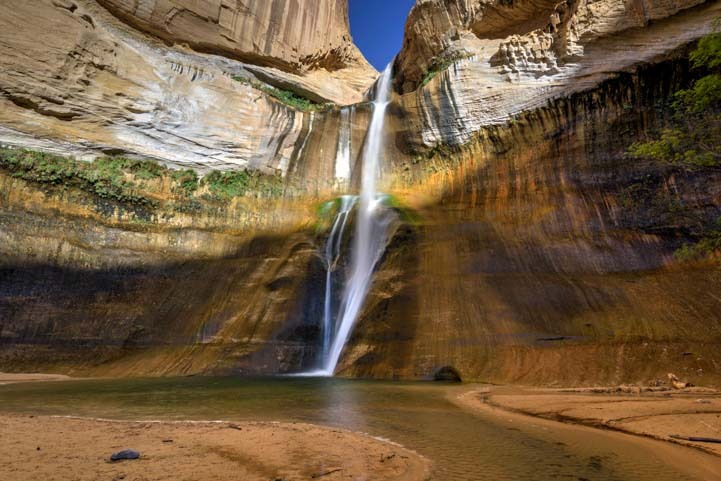 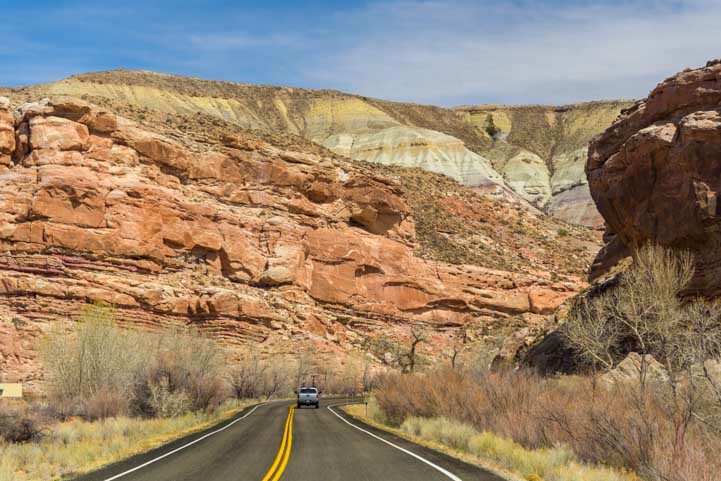 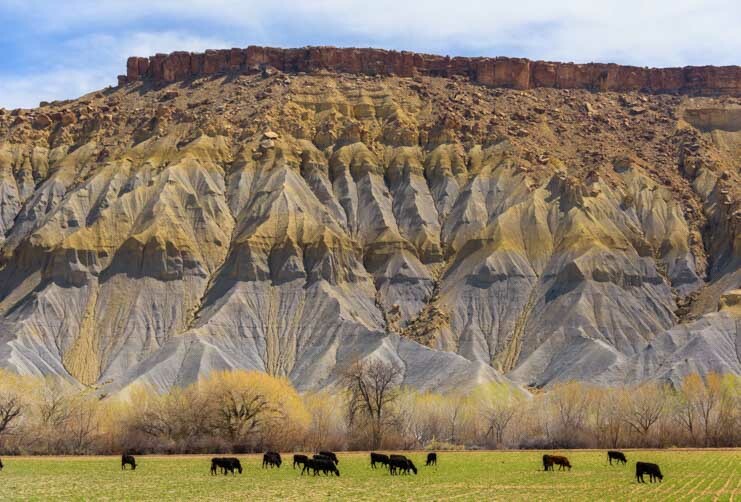 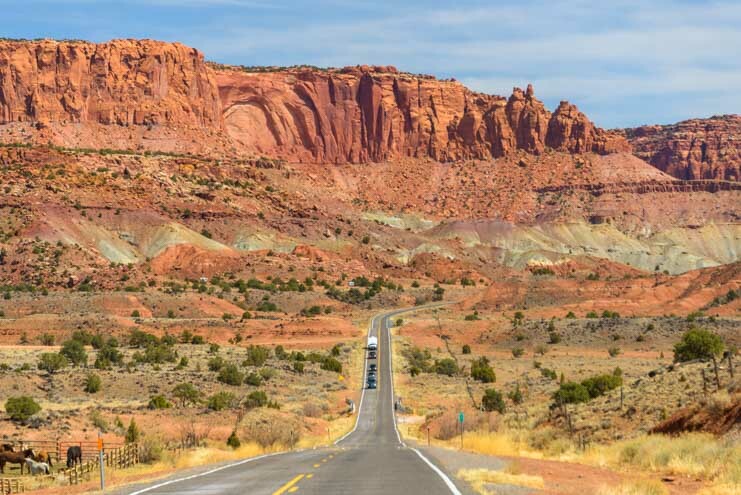 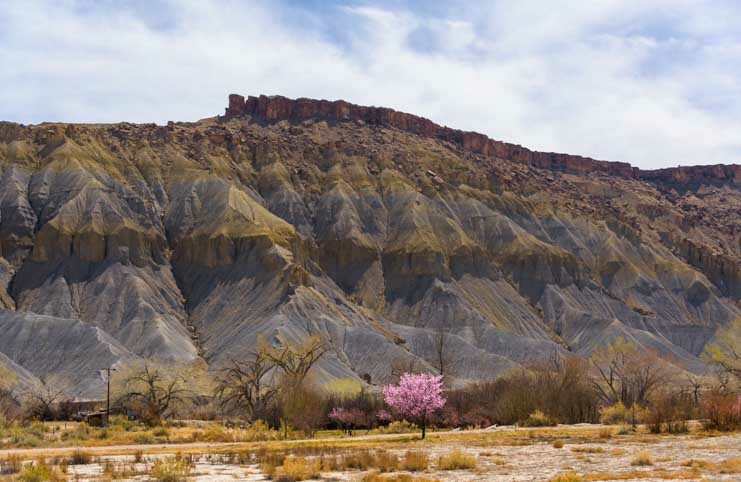 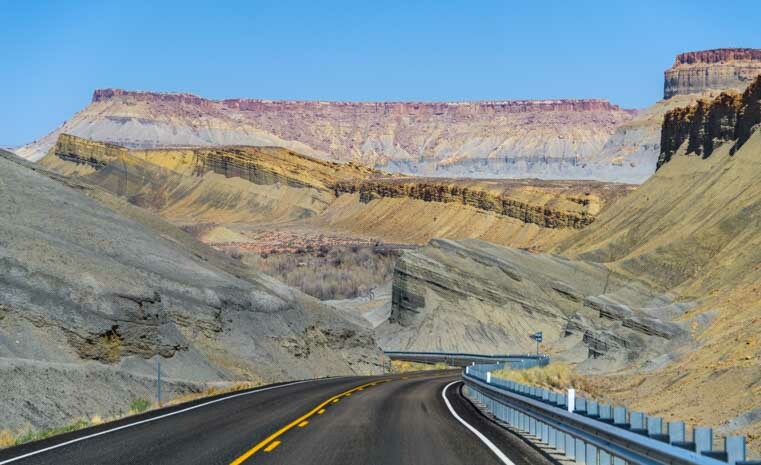 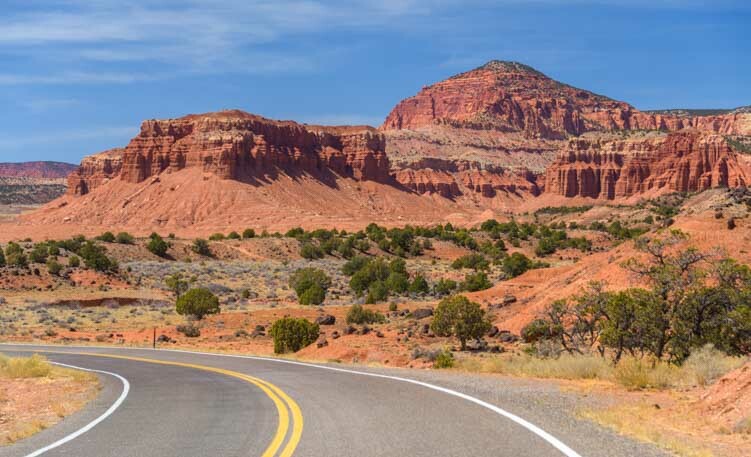 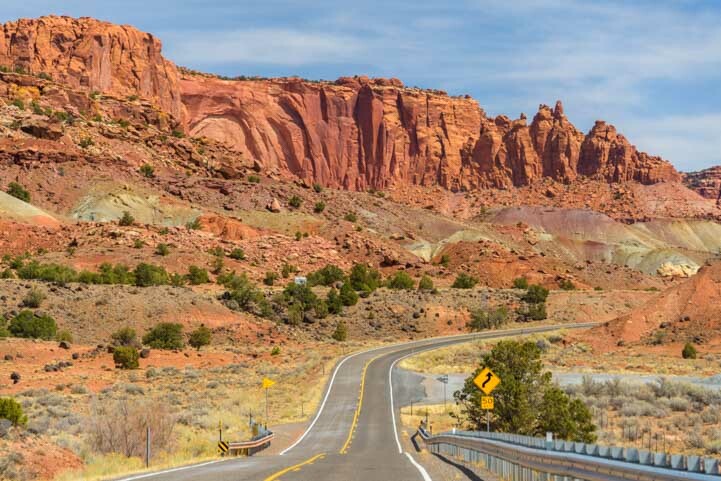 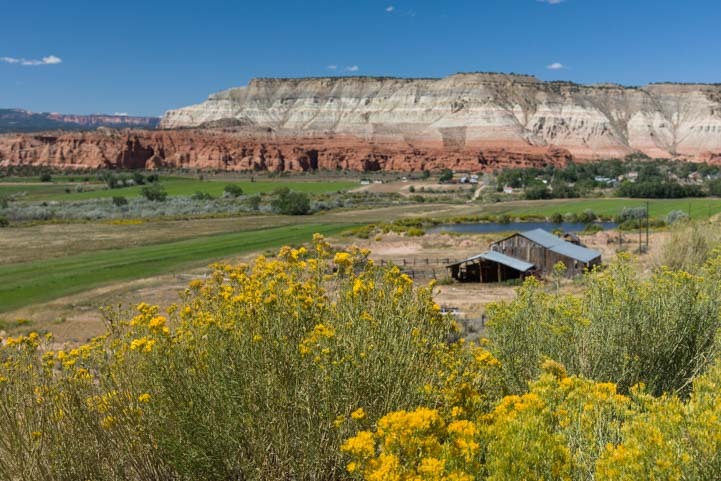 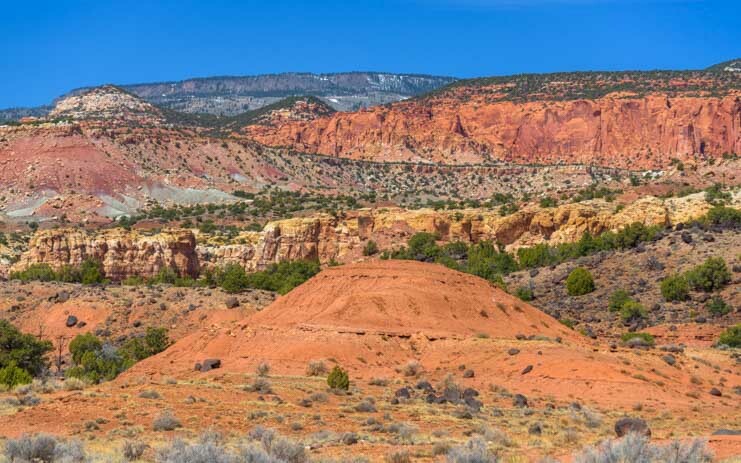 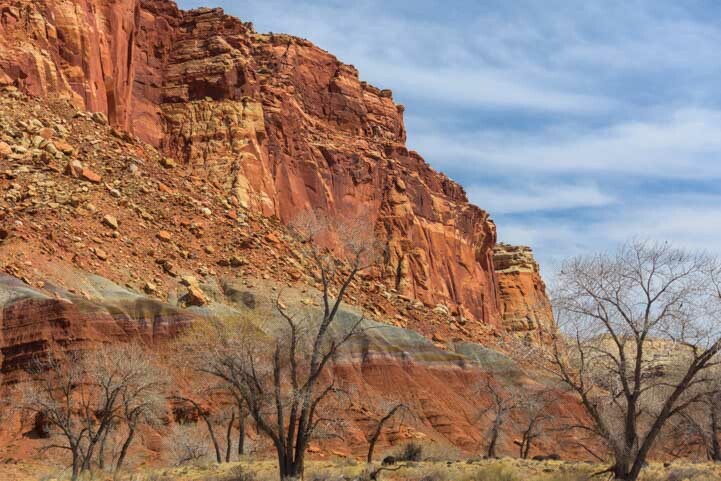 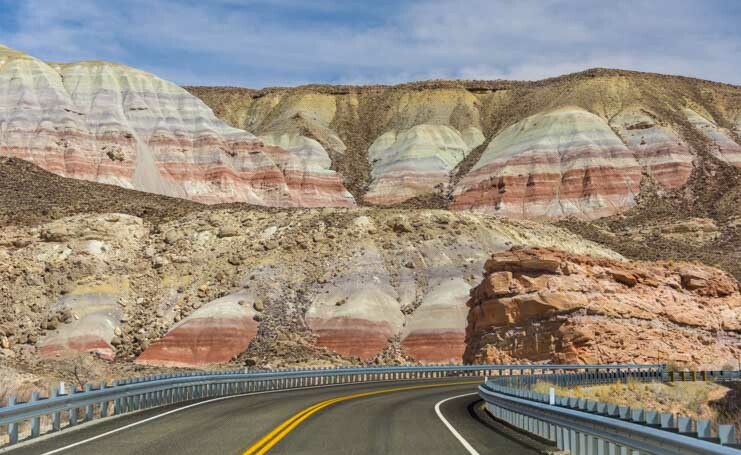 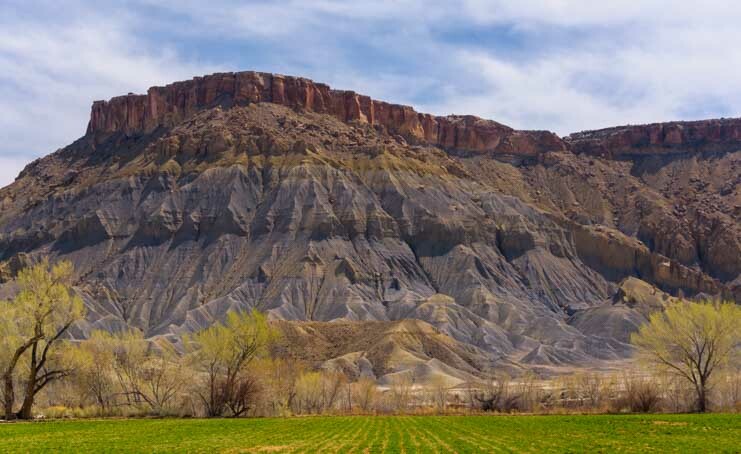 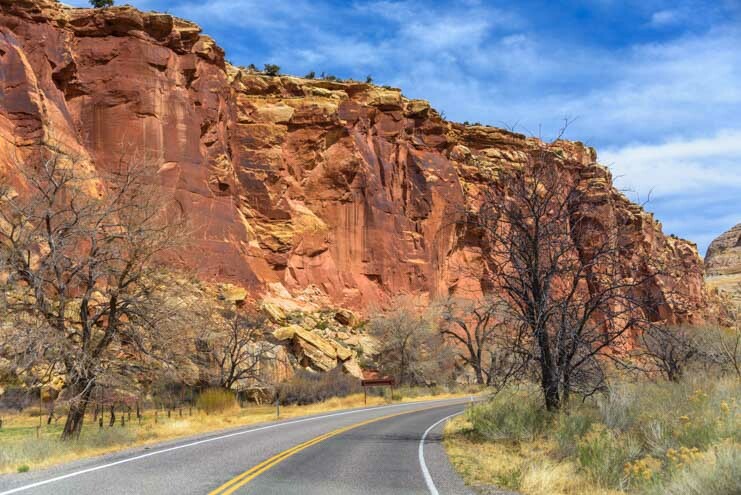 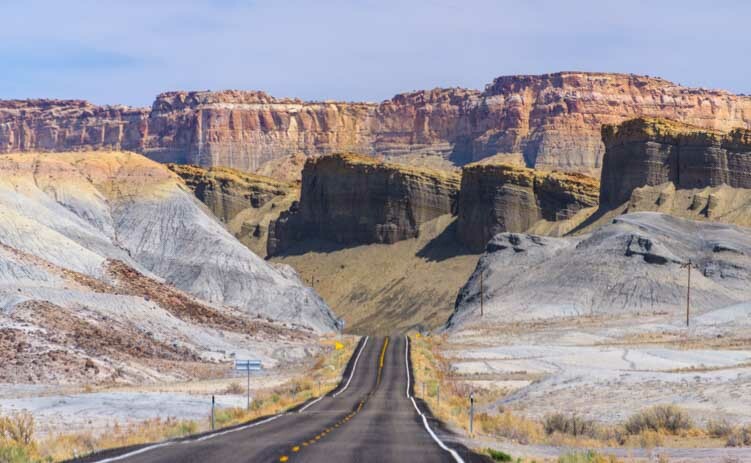 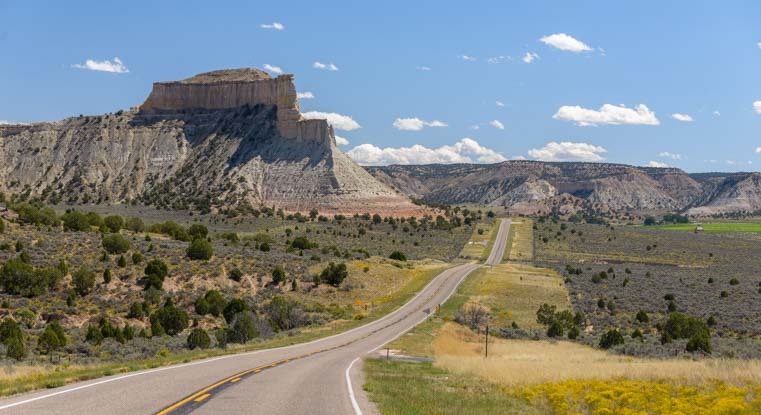 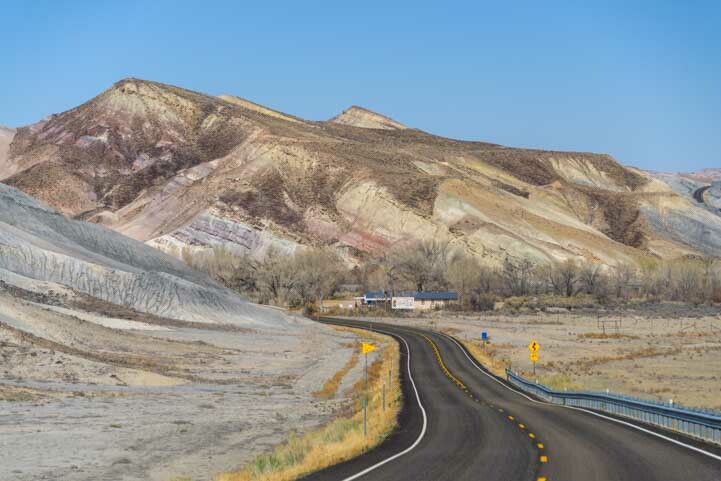 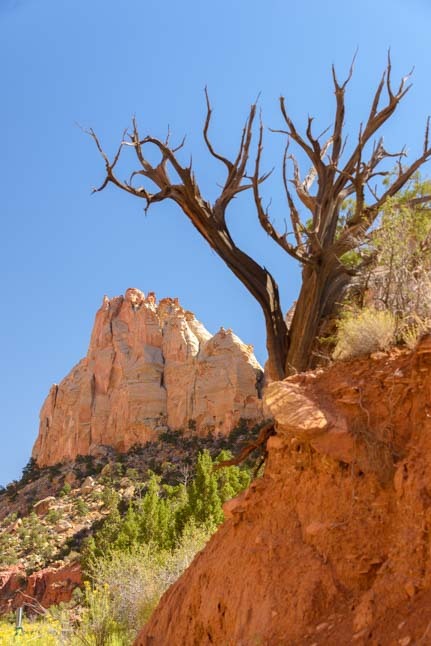 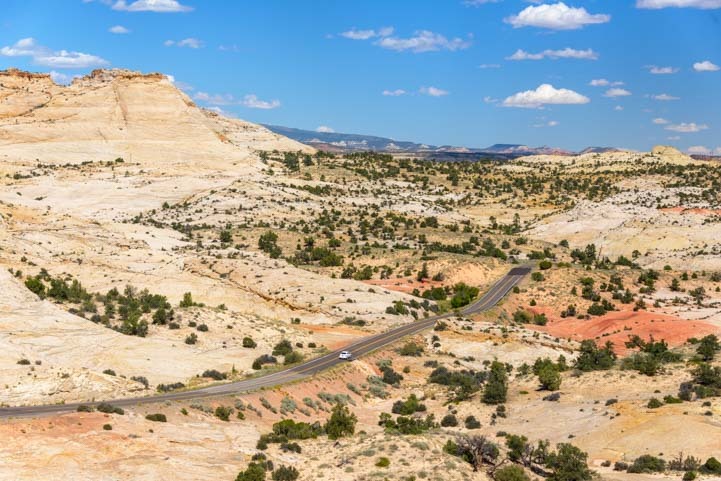 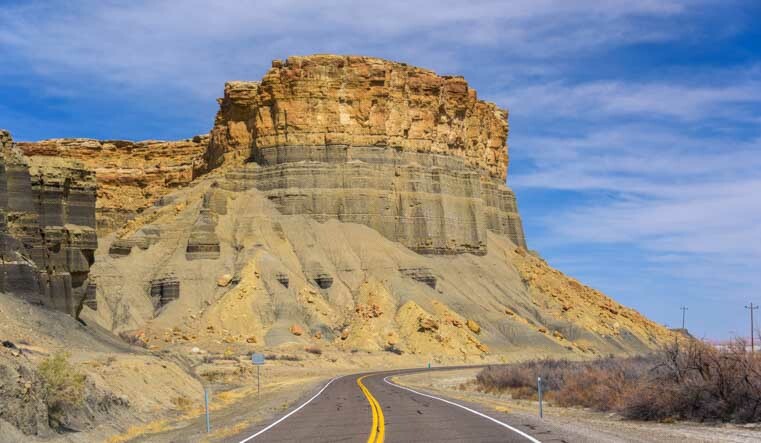 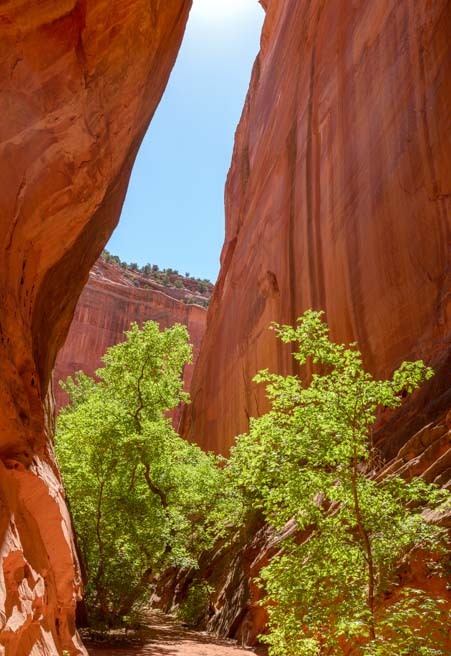 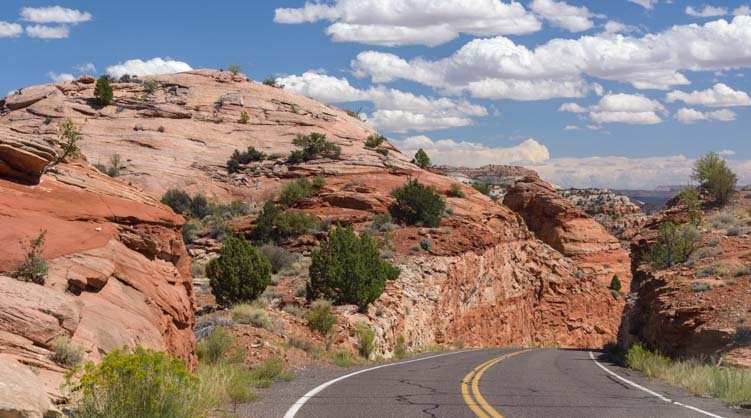 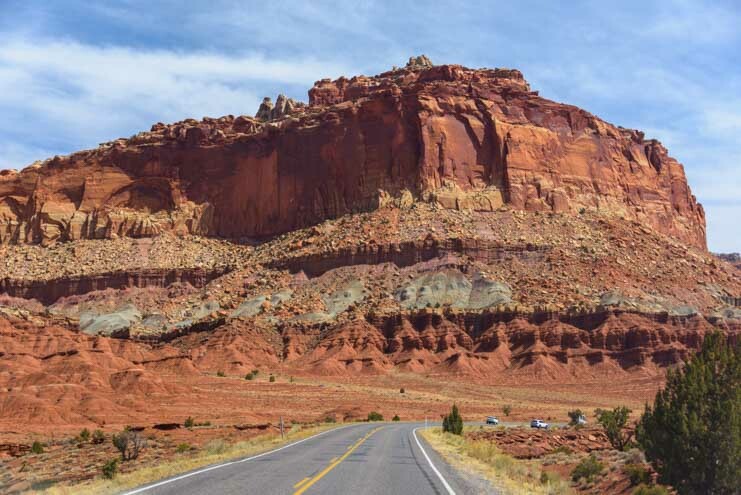 But for RVers who don’t have the time to make any stops on Utah’s Scenic Byway 12, the road itself is so breathtaking that it is well worth a detour to experience. 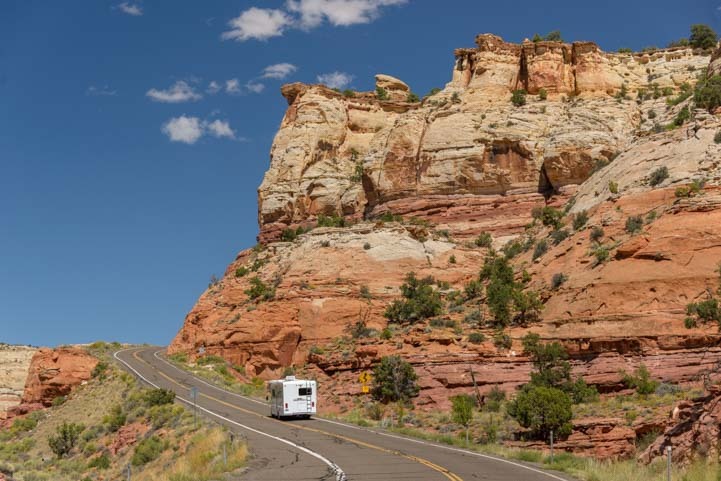 To help you plan an RV trip on Scenic Byway 12 in Utah, there are some links below. 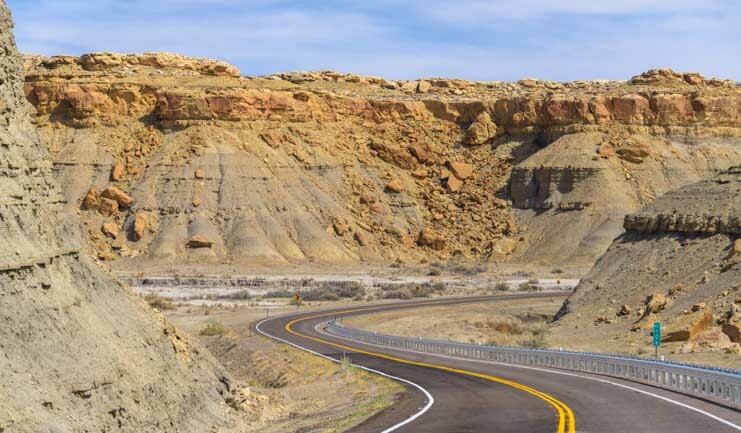 America’s National Scenic Byways Program – Defunded and now officially defunct. 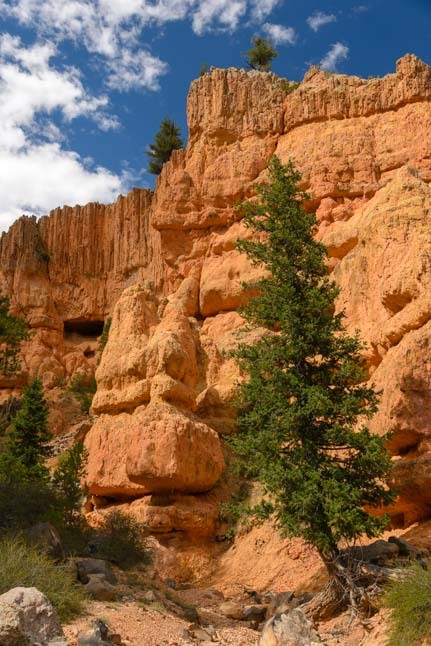 Red Canyon Utah and the Bryce Canyon Bike Trail! 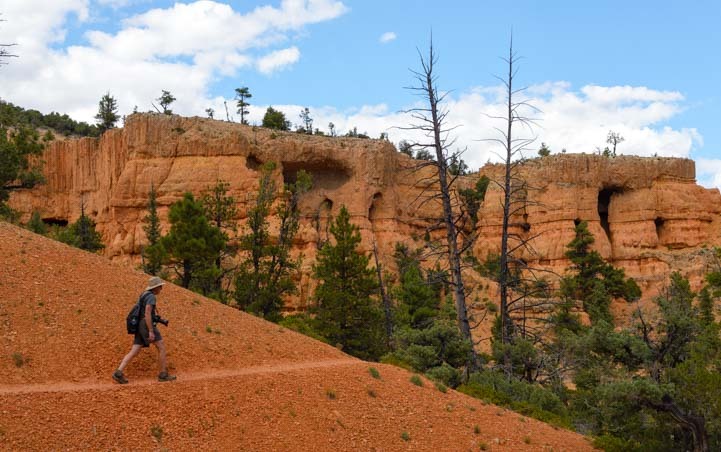 On the way in to Bryce Canyon National Park, visitors pass through stunning Red Canyon. 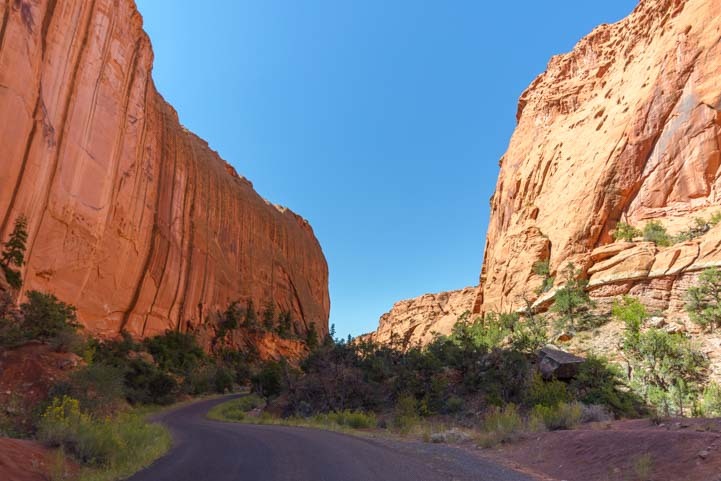 The red rocks in this magical canyon are such a vivid color and such a huge surprise that visitors are instantly in a quandary — should they stick around and check out this gorgeous canyon they’ve never heard of before, or continue on the remaining 12 miles to Bryce Canyon, full speed ahead?? 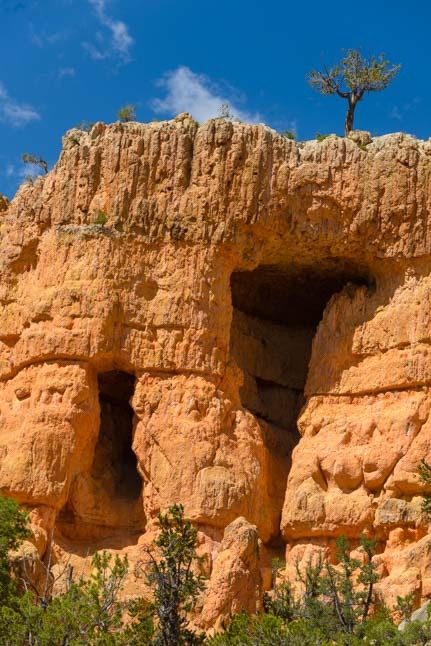 For many visitors to Bryce Canyon, the warmup act at Red Canyon is a fantastic surprise. 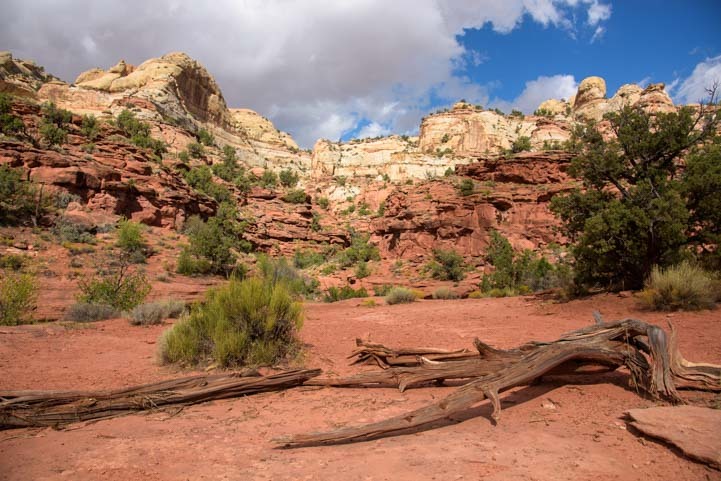 Red Canyon is a beautiful area the has several wonderful hiking trails and lots of incredible scenery. 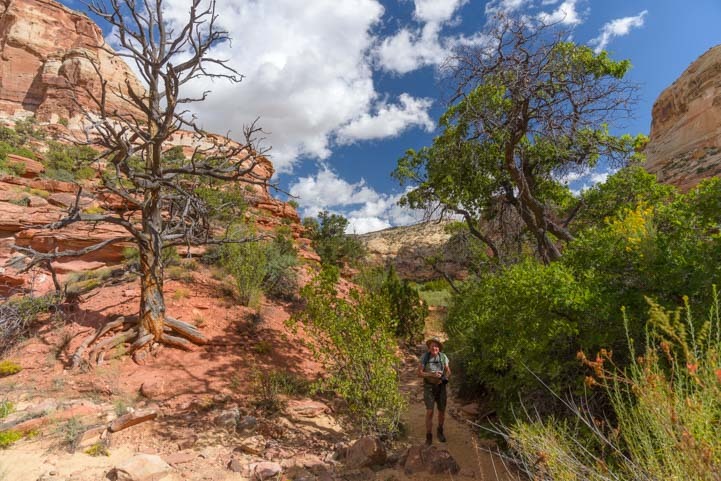 We hiked the easy Pink Ledges trail that took us right into the heart of the red rock hoodoos in just a few uphill steps. 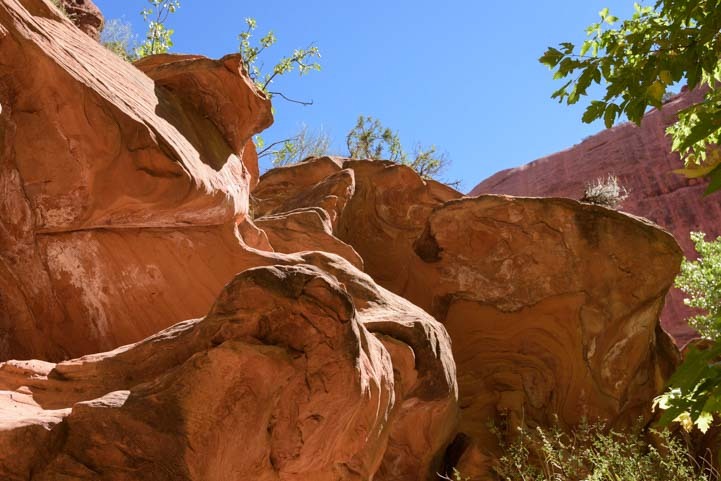 We’ve hiked the beautiful trails in Red Canyon before, and it was wonderful to be immersed once again in this lovely red rock canyon that so many tourists blow right by. 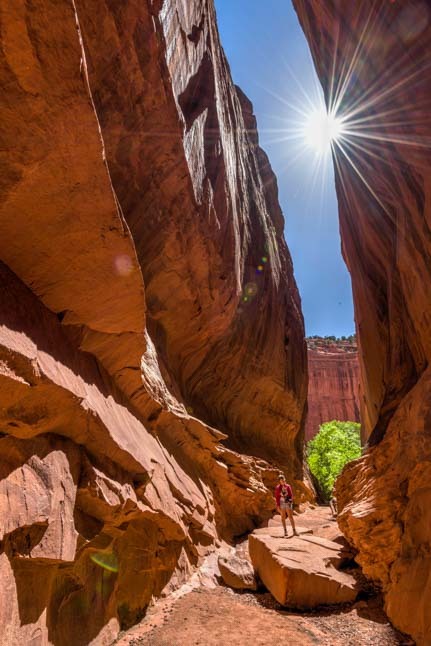 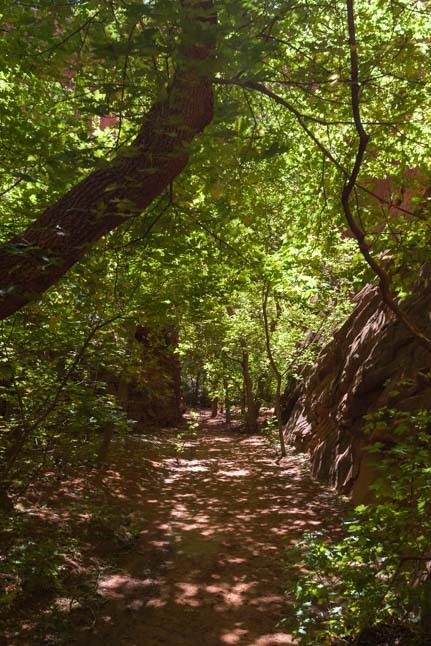 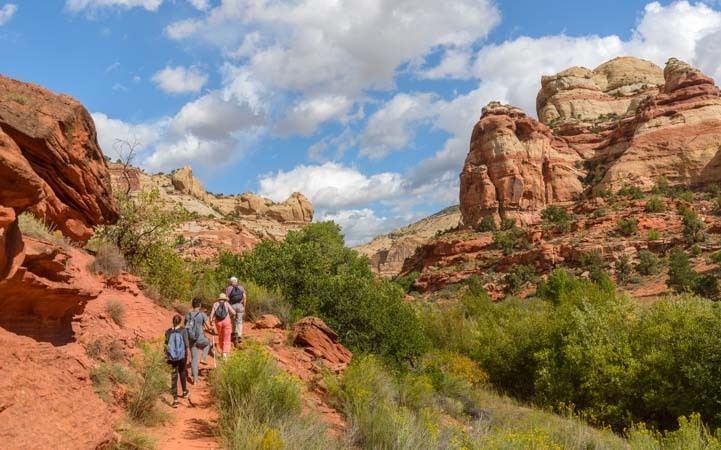 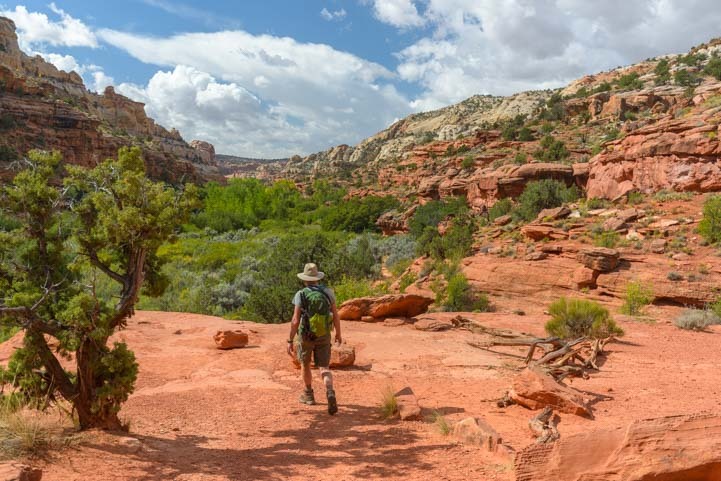 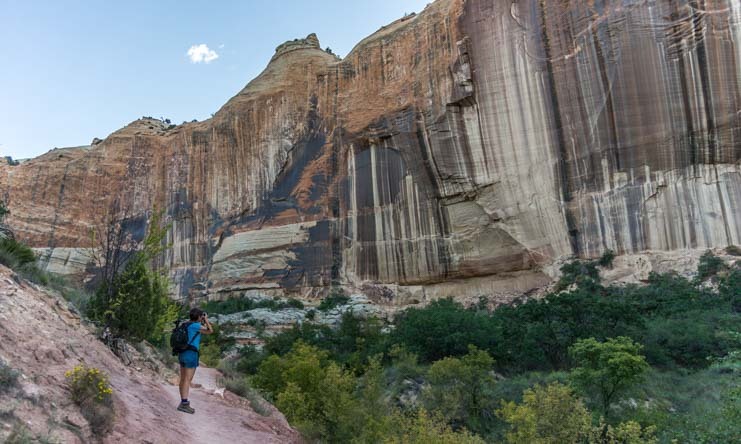 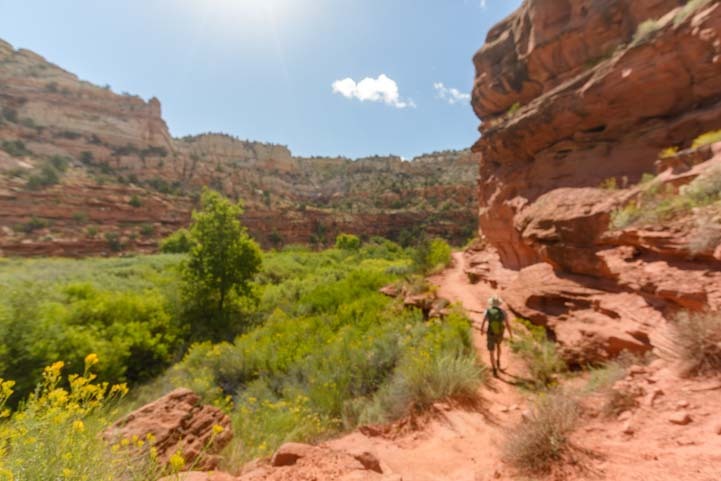 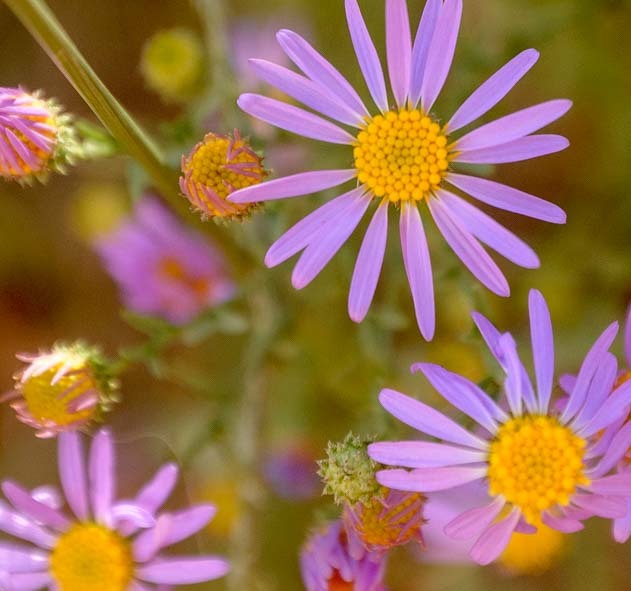 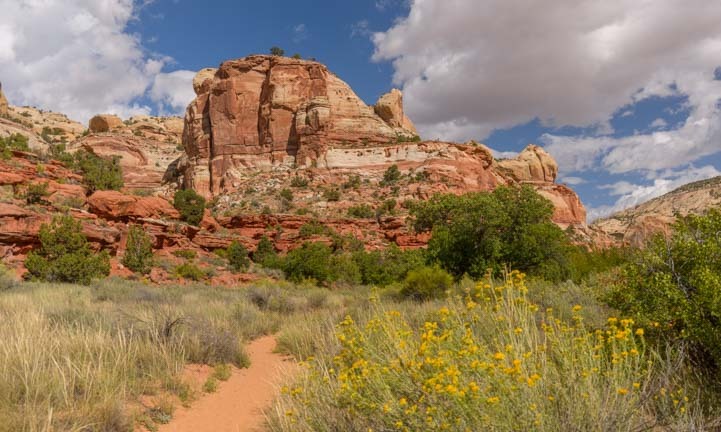 The various hiking loops in Red Canyon can be mixed and matched to make a hike of any length, and the Pink Ledges Trail soon merged into the Bird’s Eye trail. 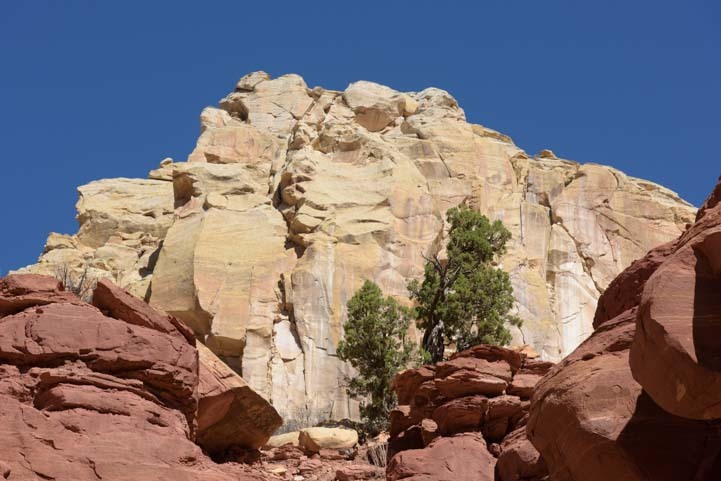 This took us out along the edges of the red rocks and rose higher and higher. 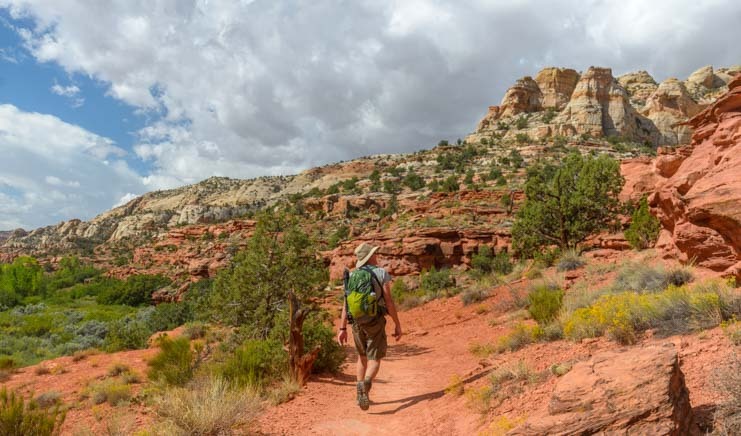 Hiking the Bird’s Eye Trail. 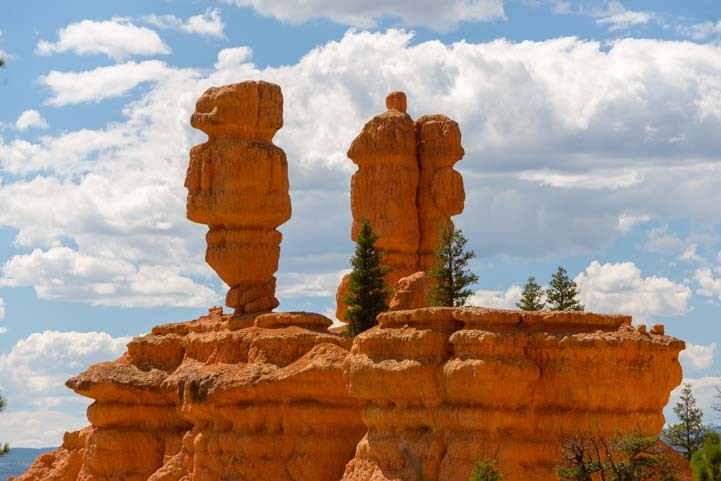 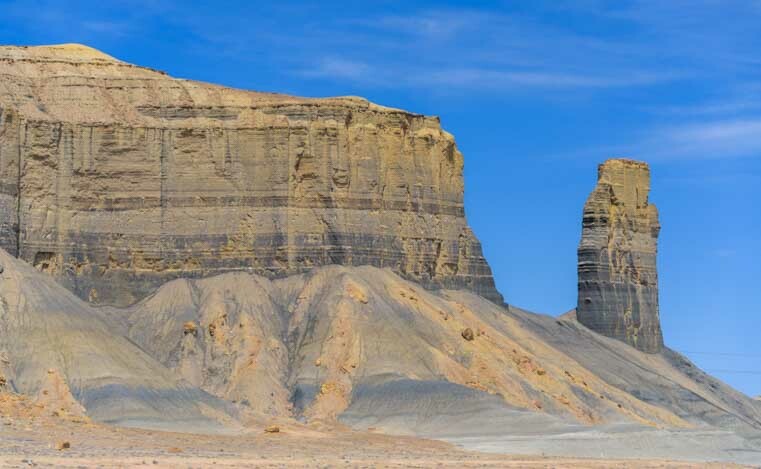 We wandered back to the central part of the canyon and admired the twin hoodoos that stand like sentries high up on a ledge. 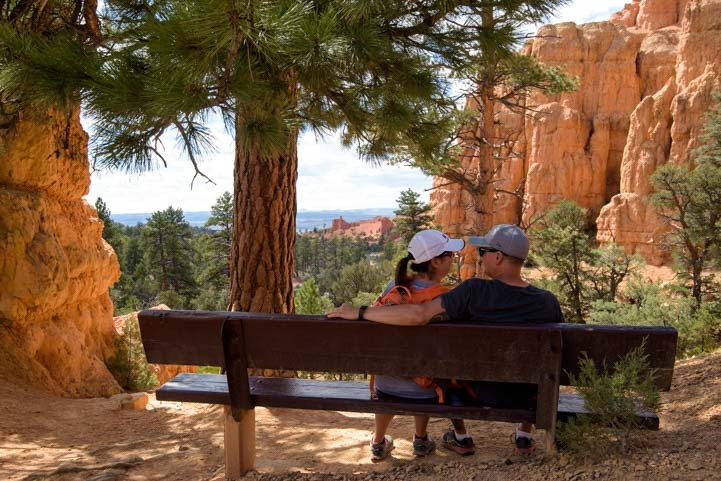 Below them, we ran into a young couple sitting on a park bench enjoying the shade of a ponderosa pine and the views all around them. 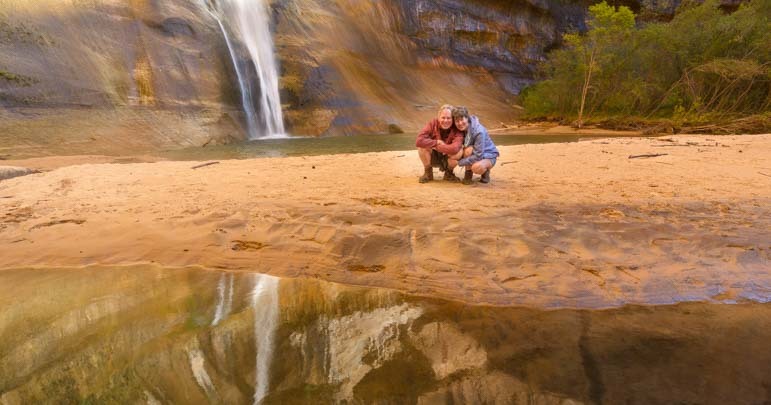 We found out they had just gotten engaged moments before, and they proudly showed us her beautiful brand new ring! 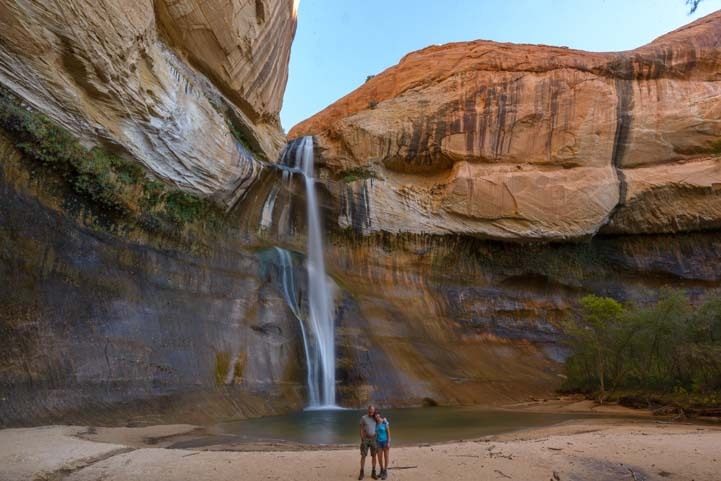 What a lovely spot to get engaged! 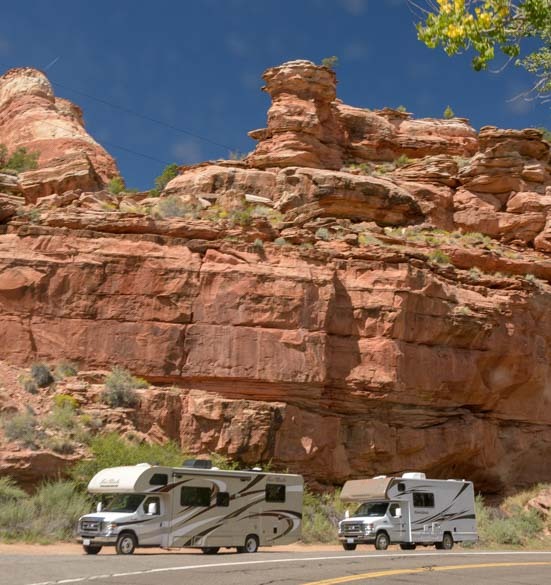 Red Canyon holds a special place in our hearts, because it was where we discovered the wonders of the RV lifestyle. 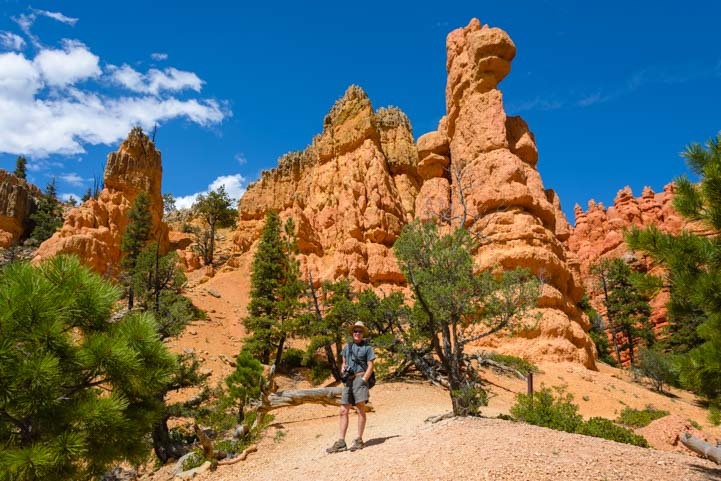 We were on a whiz-bang weeklong tour of Grand Canyon’s South and North Rim, Bryce Canyon and Zion National Park with our tent and bicycles, back in our workaday lives long ago, and we wound up camping at Red Canyon on the suggestion of a forest ranger we spoke with when we stopped in at the ranger’s office on the way to Bryce Canyon. 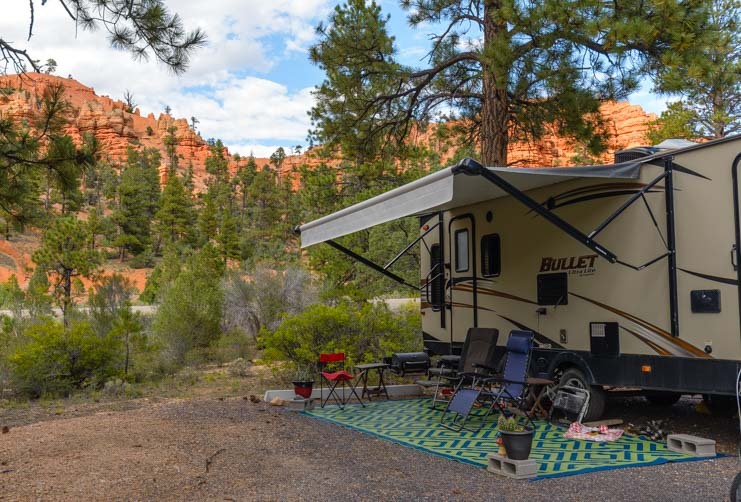 After a beautiful day at Bryce Canyon, we returned to the Red Canyon Campground to a massive deluge and thunderstorm that was followed by two days of rain. 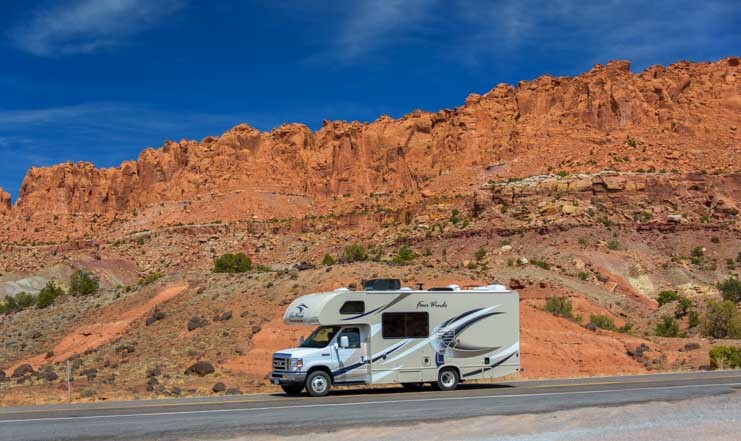 After scurrying from coffee shop to lunch bistro to dinner restaurant around Panguitch and Brian Head, desperately trying to stay warm and dry, we returned to the campground to find all the other campers happily kicking back in their RVs. 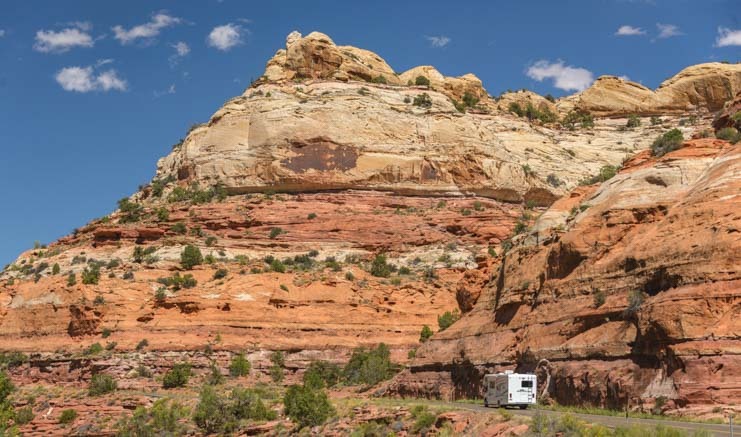 They were reading books and playing board games with the lights on in their rigs, while we crawled back into our dark soggy tent. 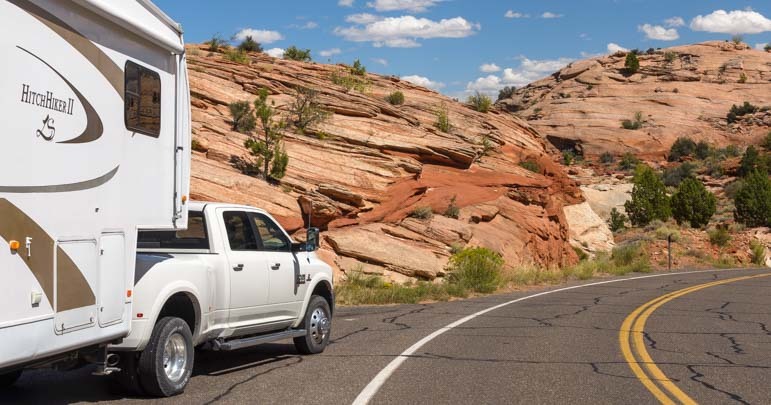 Within a few days, we were the proud owners of a Toyota Tundra truck and a popup tent trailer! 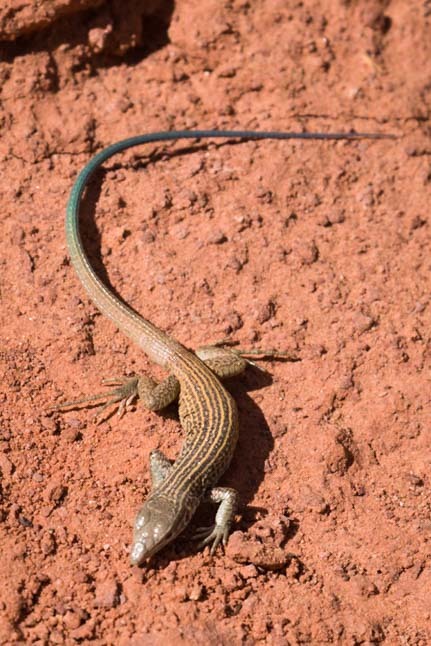 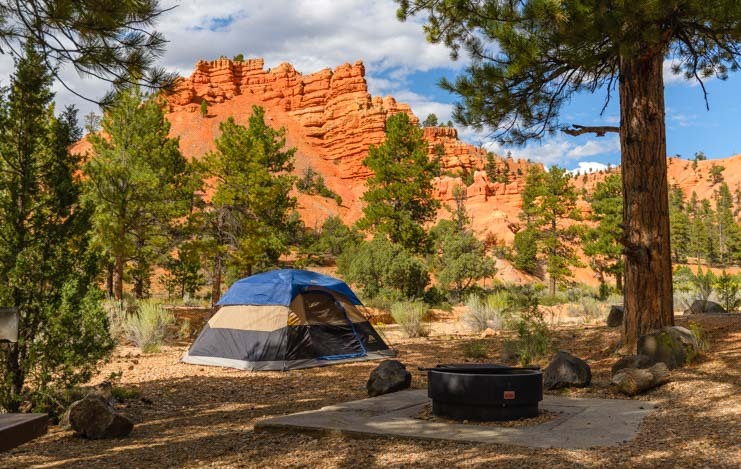 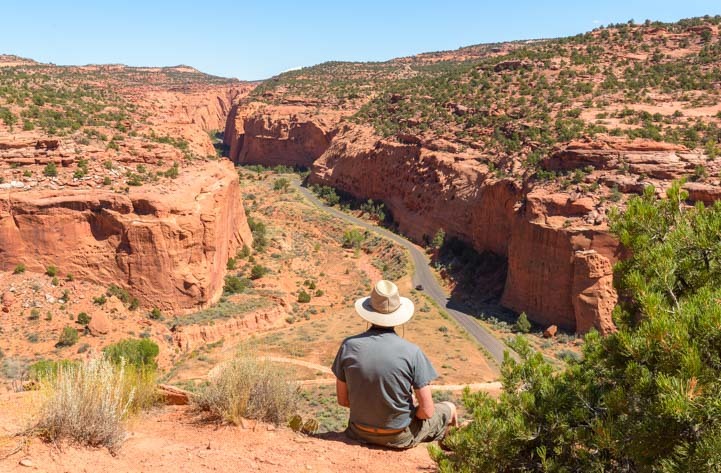 Camping at Red Canyon in a popup – Fun!! 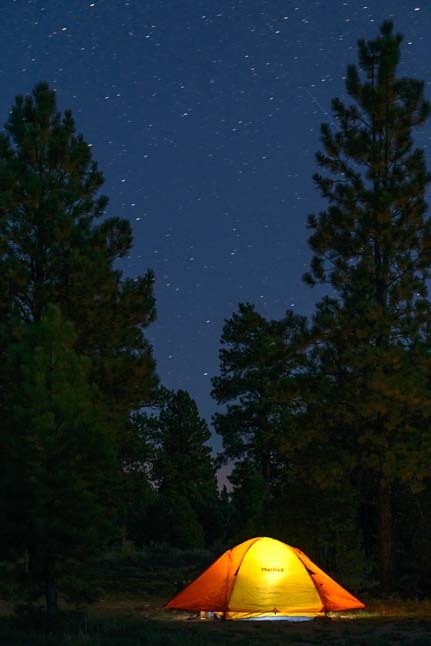 Of course, tent camping is absolutely wonderful too, and we look back on our tenting days with fondness. 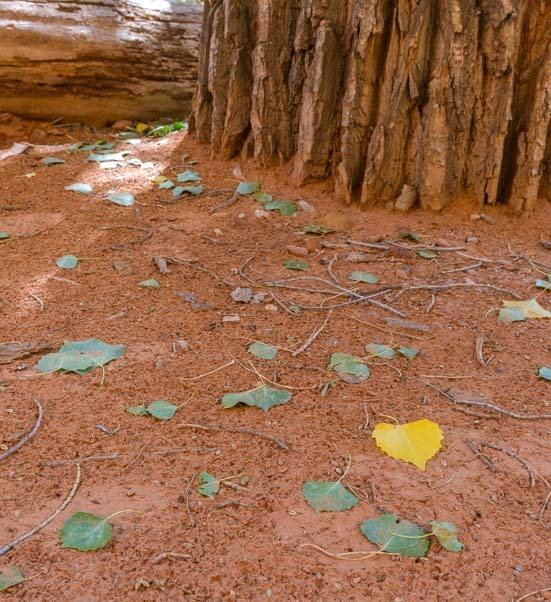 But there’s nothing like being warm and dry and having a comfortable place to sit that is sheltered and high up off the ground when Mother Nature decides to let loose with a storm! 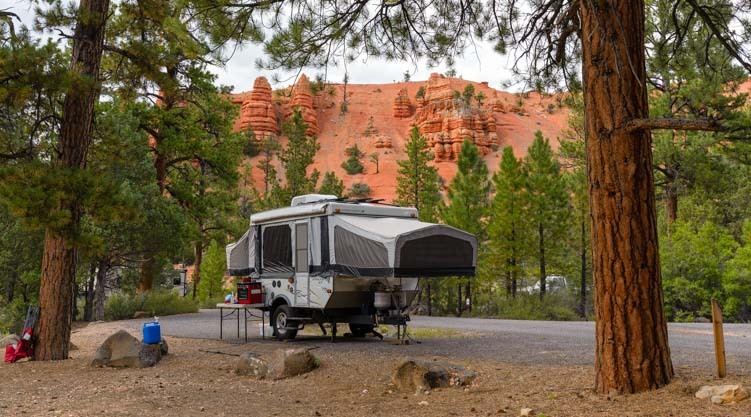 Red Canyon Campground is an absolute delight. 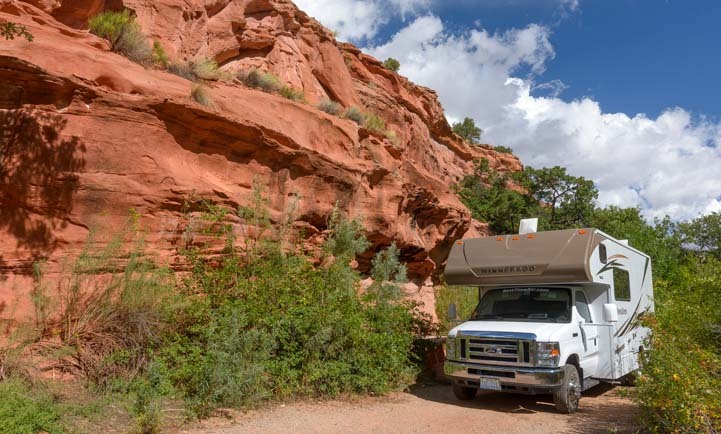 You can camp within view of the red rock hoodoos, and there are a few campsites that are big enough for a big trailer like our fifth wheel. 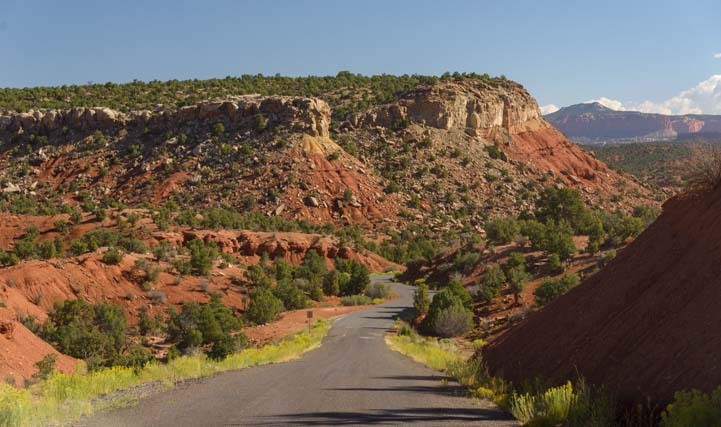 Another treat at Red Canyon is the paved bike path. 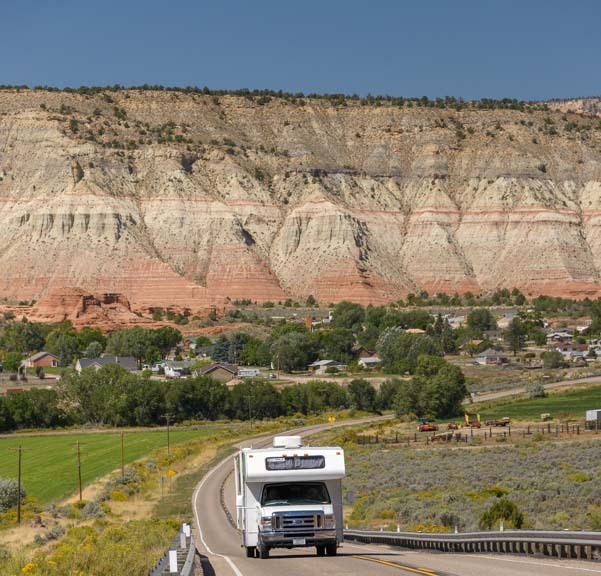 Being at 8,500′ elevation, we had to work a bit with each pedal stroke, but the scenery was second to none. 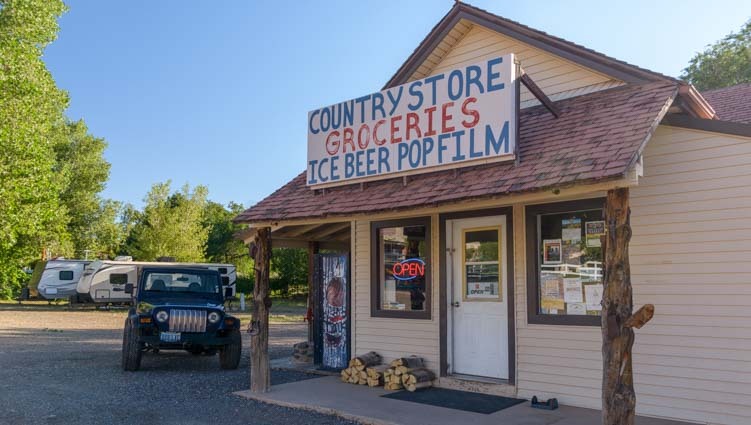 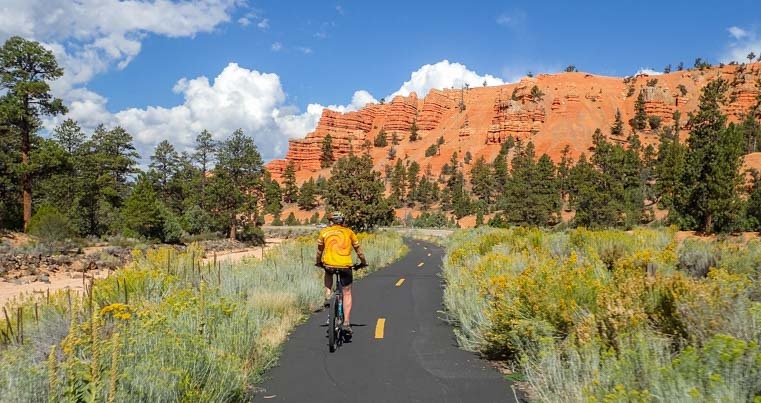 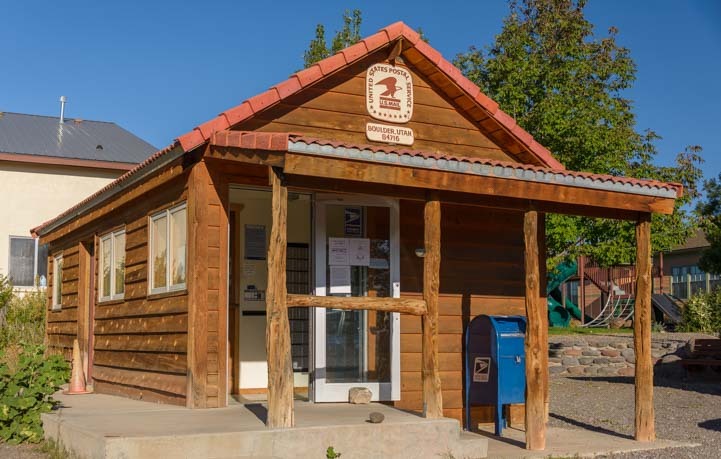 The Red Canyon Bike Trail goes all the way from Red Canyon to Bryce Canyon City, the little hamlet that used to appear on maps as “Rubys Inn” because it is home to Ruby’s Inn, a family run operation that includes an inn, restaurant and an RV park. 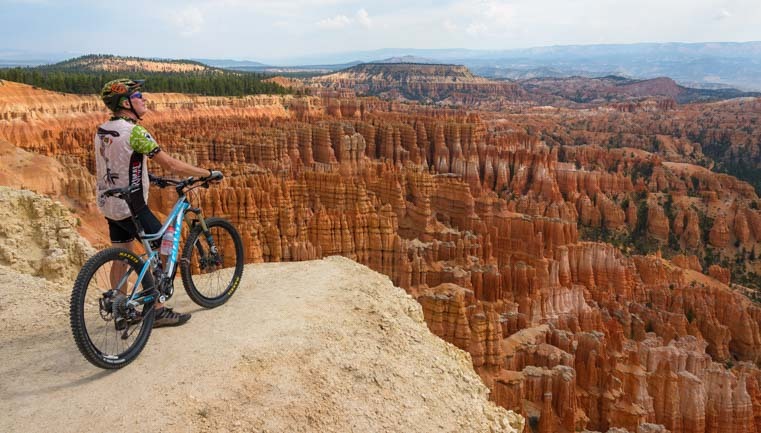 Every time we’ve been to this area in the past, we’ve wished that the bike trail went all the way into Bryce Canyon. 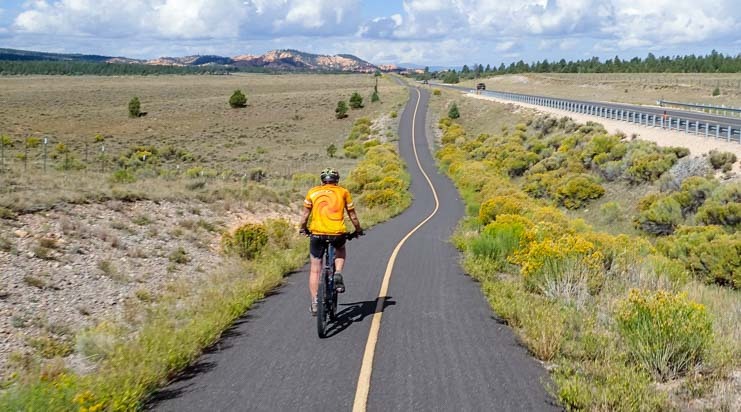 Lo and behold, the National Park Service granted our wish this season and extended the paved bike trail all the way into Bryce Canyon as of a few weeks before our arrival!! 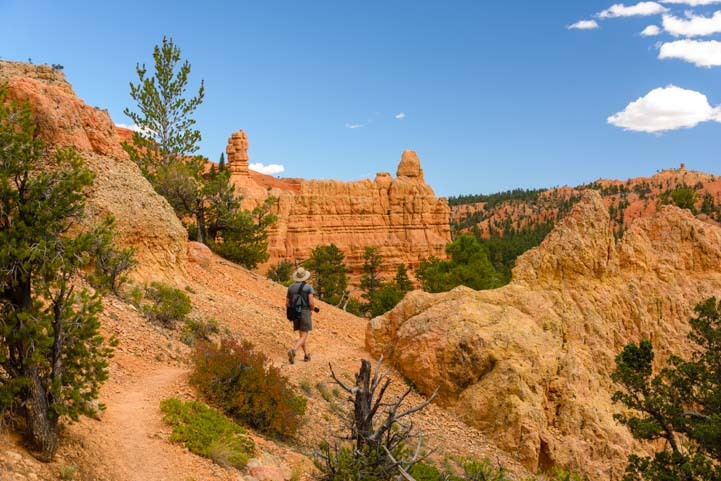 It is now 17 miles long and you can ride from the west end of Red Canyon all the way to Inspiration Point in Bryce Canyon. 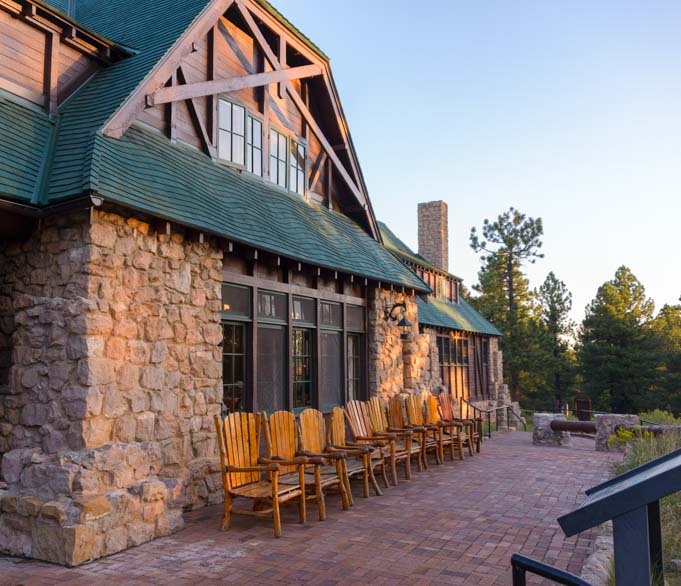 This project was undertaken and completed for the 100th anniversary of America’s National Parks this past August, and it takes a wonderfully winding route through the ponderosa pine forest right to the Bryce Canyon Visitors Center. 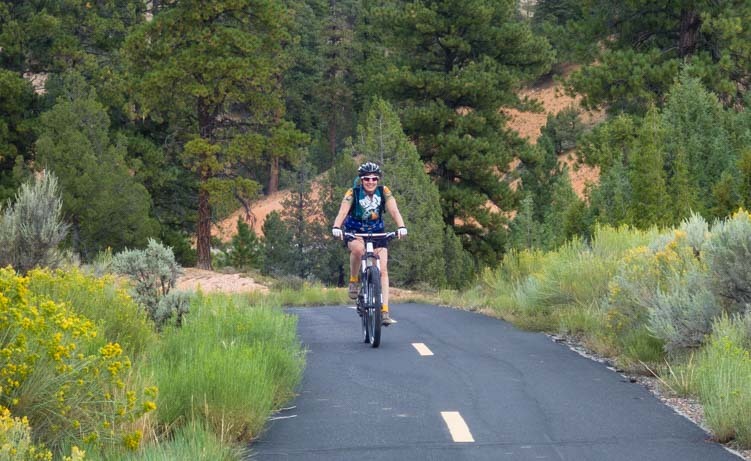 From the Visitors Center, the Bryce Canyon bike trail passes all the main overlooks and wanders away from the rim for a bit too as it swings by the Bryce Canyon Lodge. 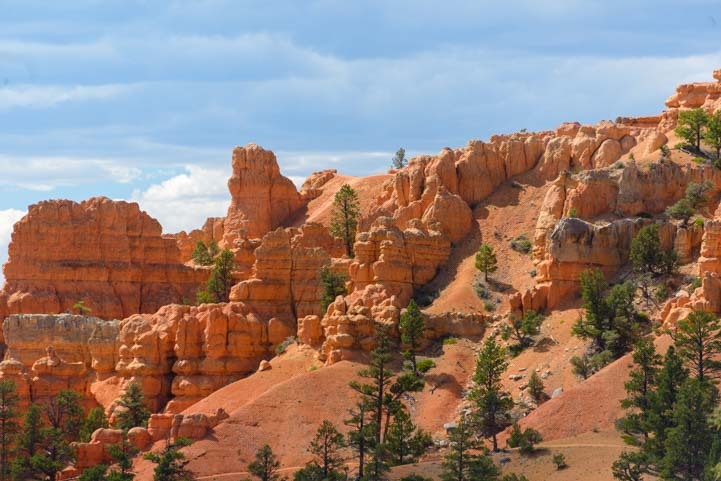 We had to get off our bikes and walk when we visited the overlooks in Bryce Canyon, but what a fabulous addition this bike trail is to one of the National Park Service’s premier parks. 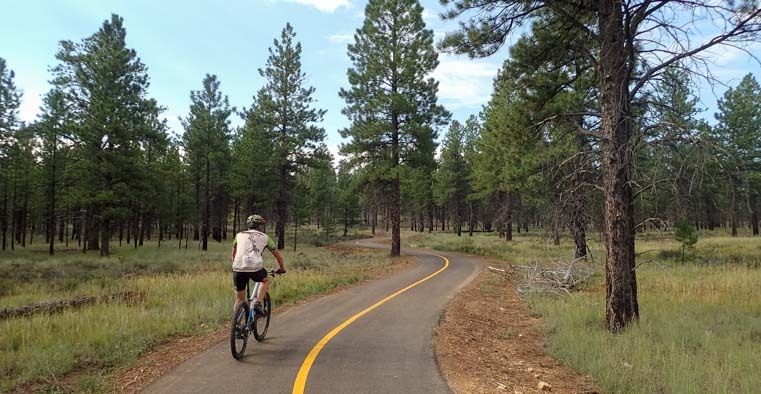 We were absolutely thrilled by the new bike path, and we rode it many times during our stay. 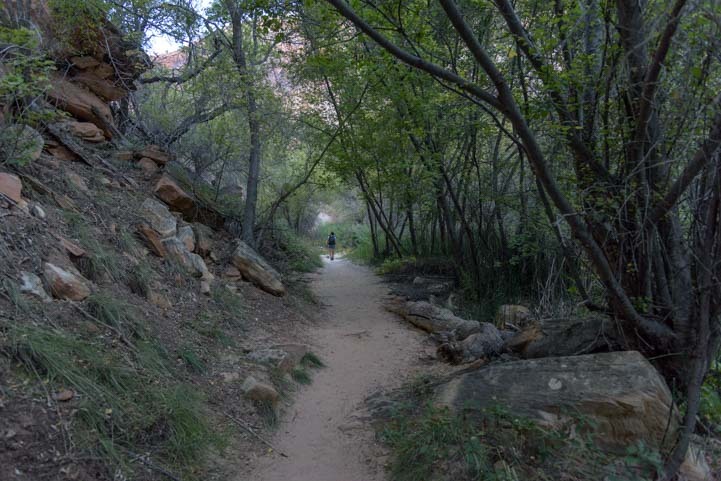 Hopefully the National Park Service will continue building bike paths at other National Parks. 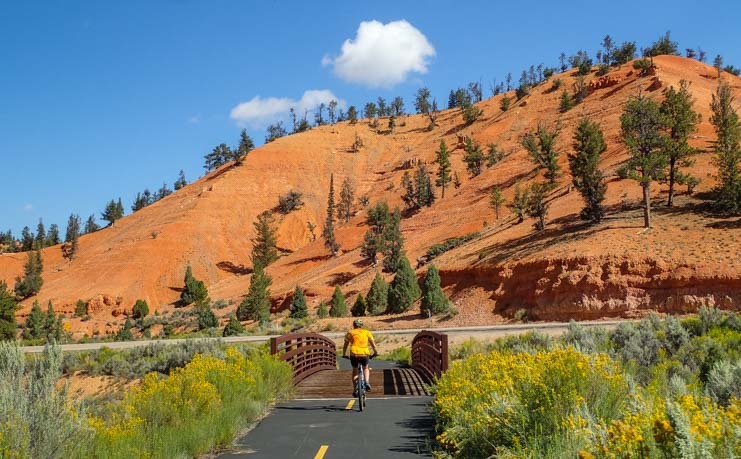 The bike trail at Grand Teton National Park is superb as well, and keeps getting longer each time we visit. 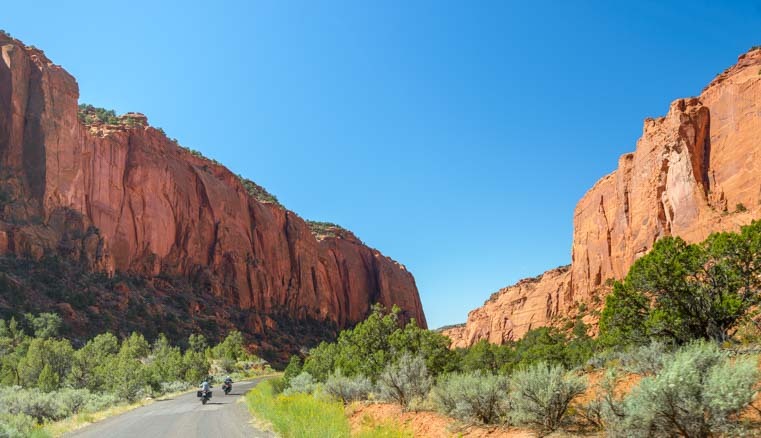 The best way to experience a National Park is to be outdoors in the thick of it, and how fantastic it is to be able to fly along and enjoy the views from the seat of a bike!